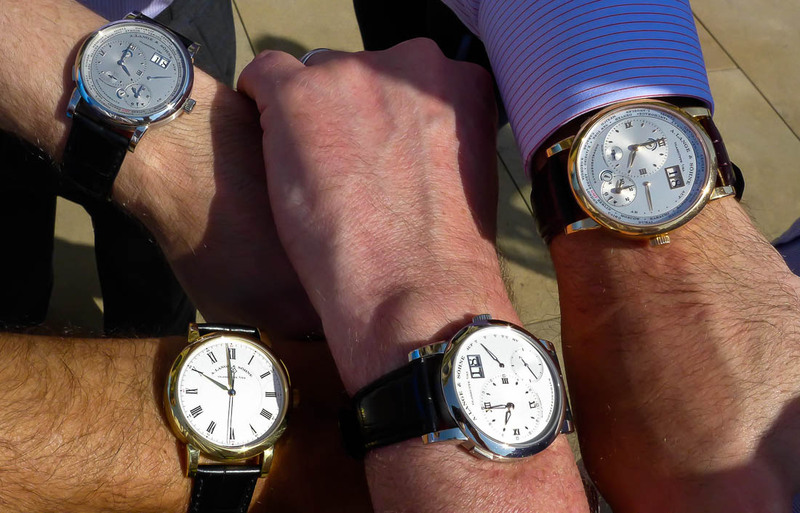 Last week, a small group of us were invited to Glashutte to visit A. Lange & Söhne. 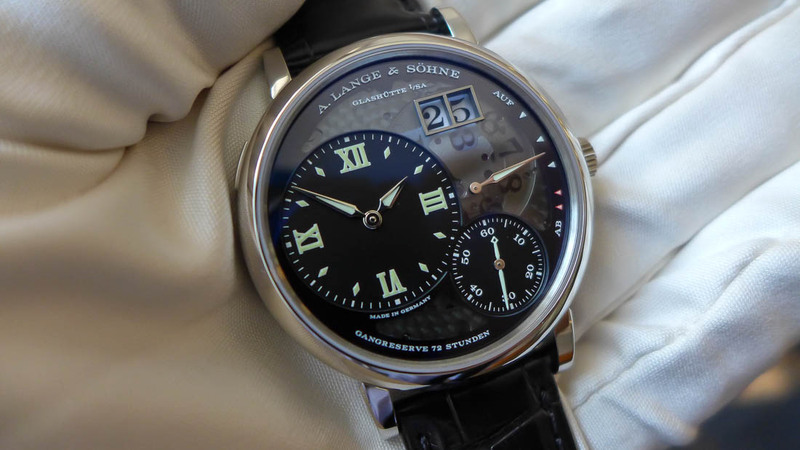 Many of you may know that Lange is approaching 20 years since returning to the industry, but you may not be aware that the company was actually formed in 1845. Let me say up front that my stomach dropped when we were told we could not photograph inside the Lange factory. I wondered if I would have anything to show when it came to reporting on the visit. 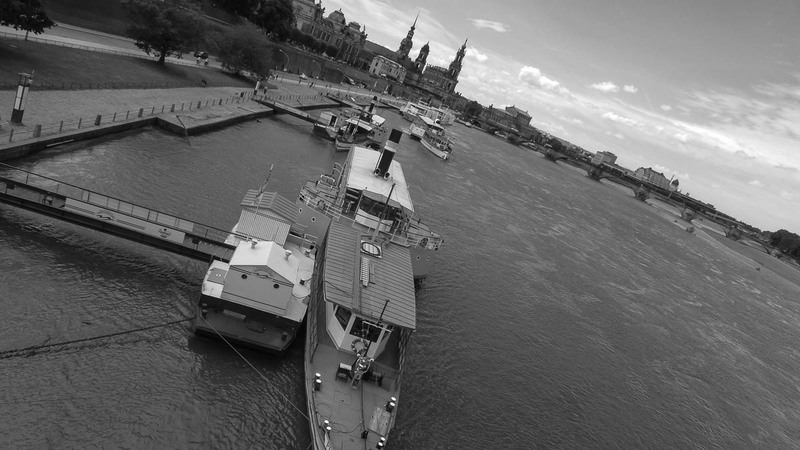 As it turns out, this is the most photo-heavy post I may have ever done, and you'll see why. 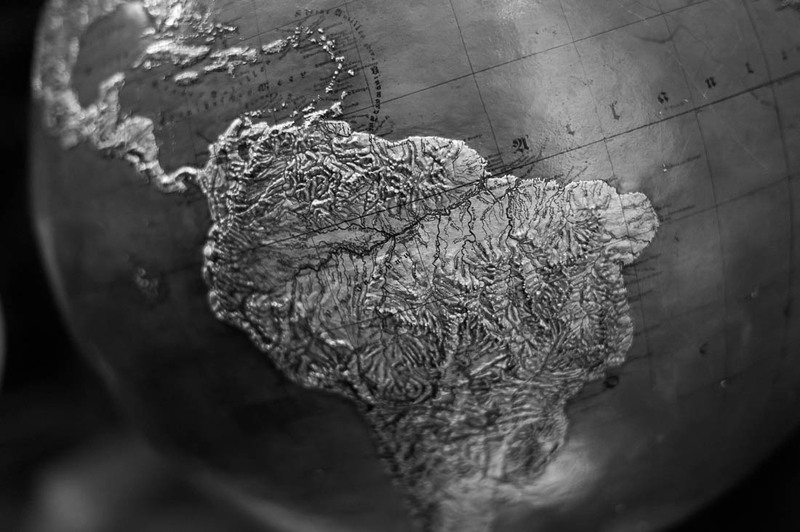 Because we have to place the company in the context of history, as well as it's geographical culture. 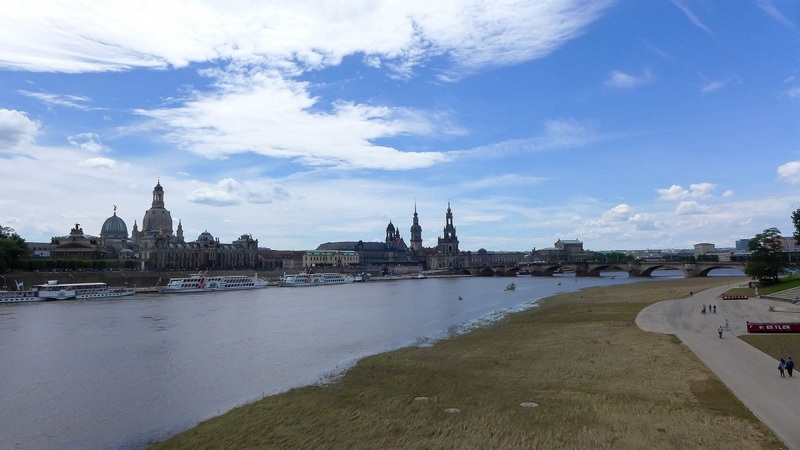 So we begin in Dresden, Germany. 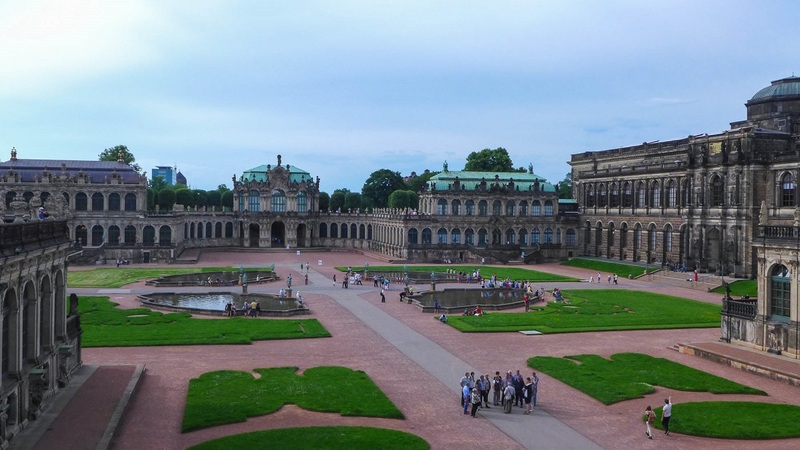 Dresden is in the eastern part of Germany, very close to the Czech Republic, and in fact less than 2 hours from Prague. 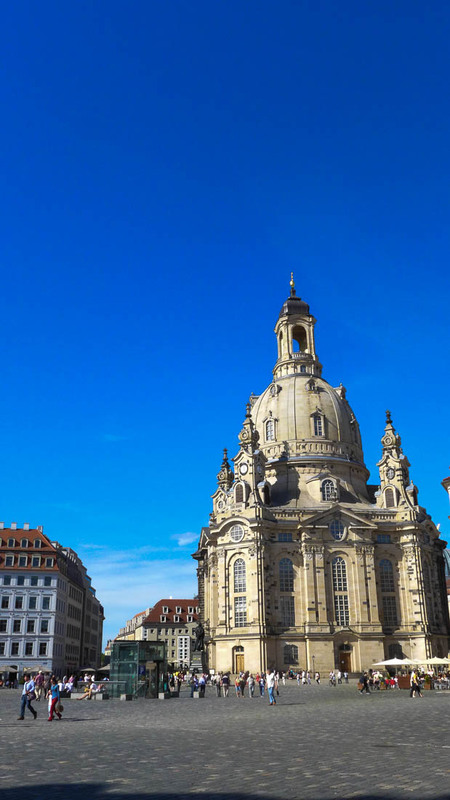 The city of Dresden was carpet bombed towards the end of World War II by over 700,000 bombs in a single day, and most of the city was destroyed. 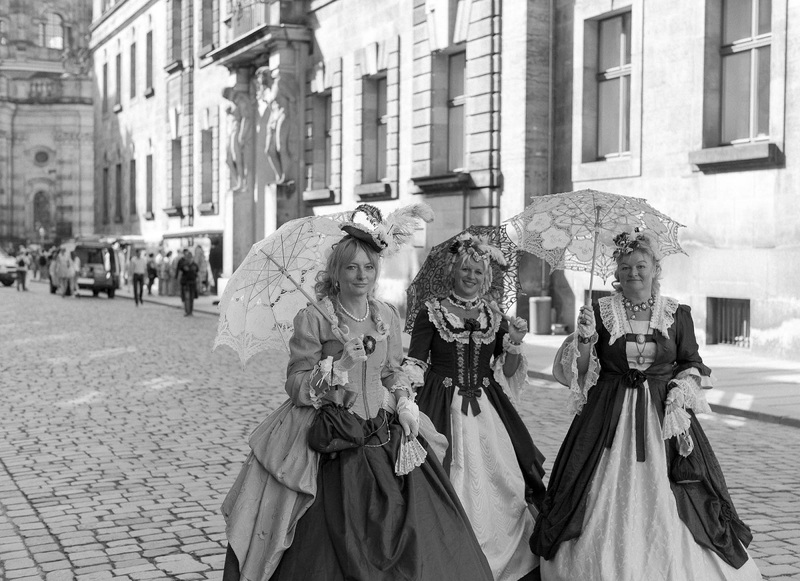 The city was a cultural mecca, full of vast treasures of porcelain and gold, a city of world famous buildings and museums. 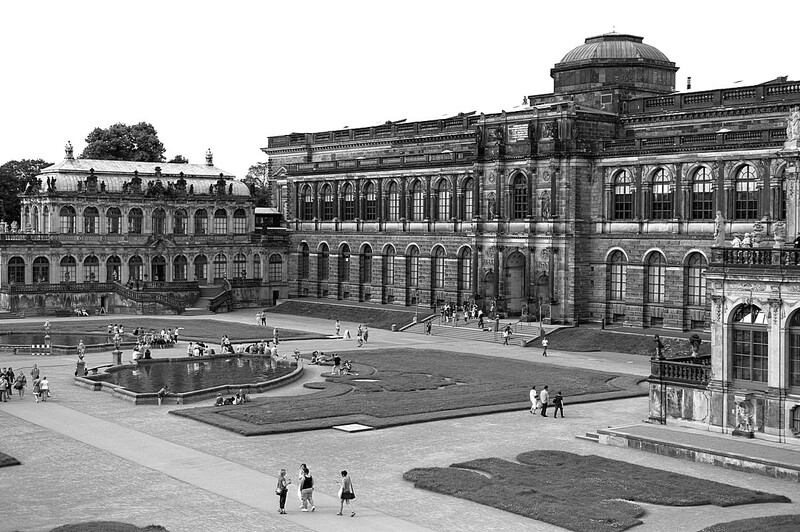 and the Zwinger, a massive palace built for exhibitions and as was explained to us, for parties. In fact, the entire city has been rebuilt. 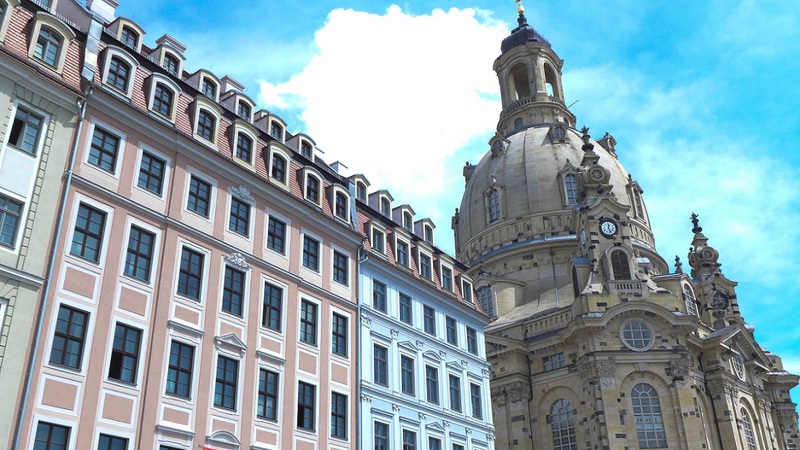 With the help of thousands of photographs and many more memories, this Altstadt (or "Old City") on the Elbe River has been reconstructed as it was...the same architecture, building pigments, interior light play, down to every available detail. And yet, this is not the prevailing sentiment. 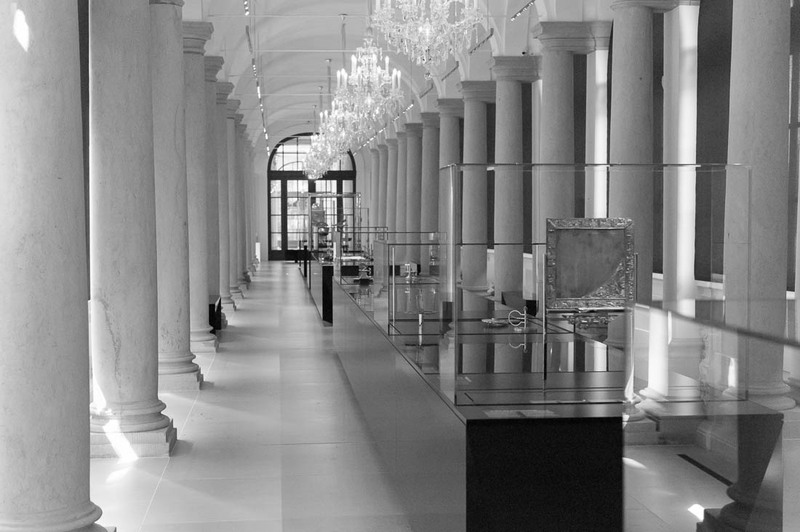 As grandiose as the buildings are, the underlying force dominating the work is much more subtle. It's about precision and details. 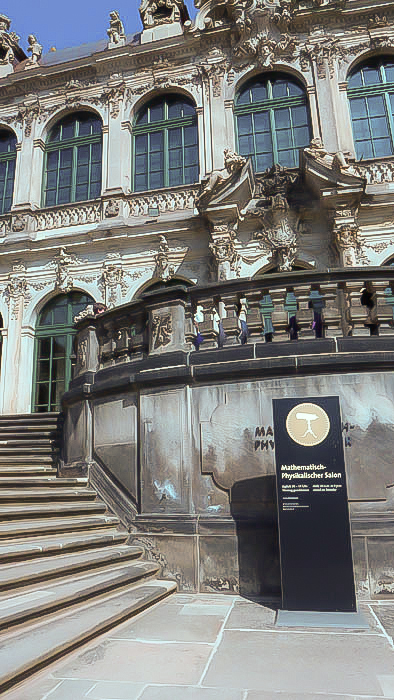 Here in a corner of the Zwinger palace, you will find both in spades at the Physics and Mathematics Salon. 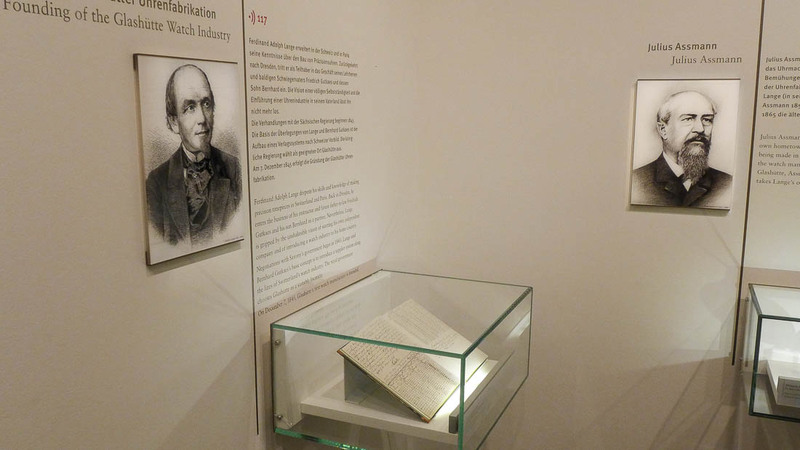 Newly re-opened following a 6-year renovation, the Salon houses some of the most important inventions in the history of Saxony. Rooted as far back as the 16th Century, if it could be measured, counted, heated or mapped, the Saxons pursued it with vigor. Naturally, timekeeping was a significant part of these endeavors. 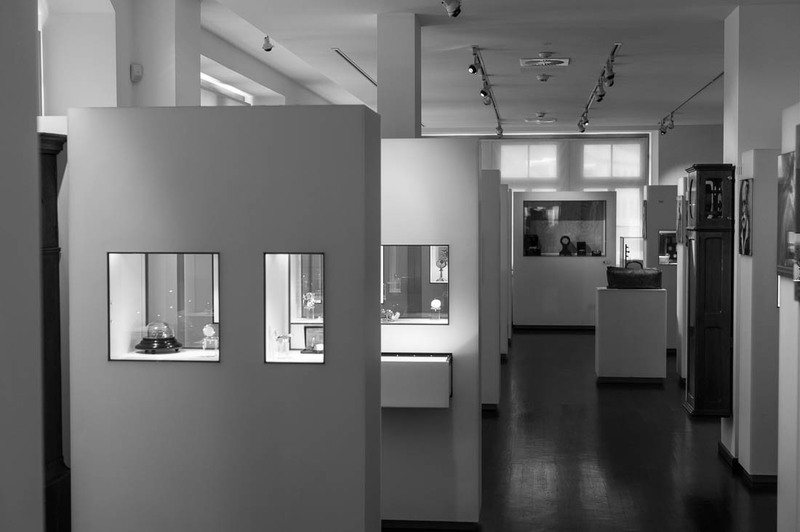 And as Lange has been a sponsor of the Dresden State Art Collections since 2006, and are an integral part of this history, they too feature pieces in the Salon. 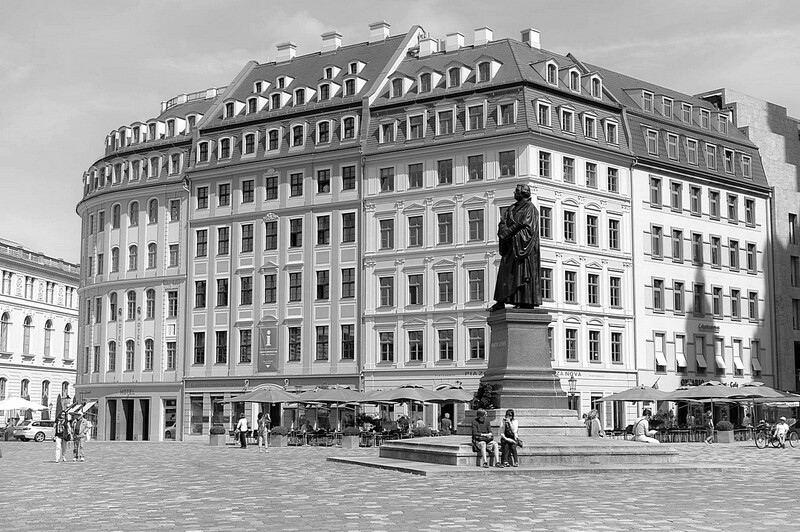 When the Semperoper (the Dresden Opera House) opened in 1841, Johann Christian Friedrich Gutkaes was the watchmaker to the King of Saxony. 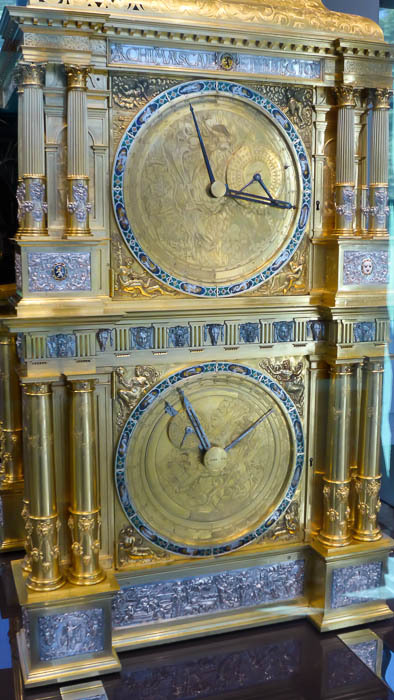 At the behest of the King, a clock visible throughout the opera house was to be made, and because of space constraints it could not be a round dial. 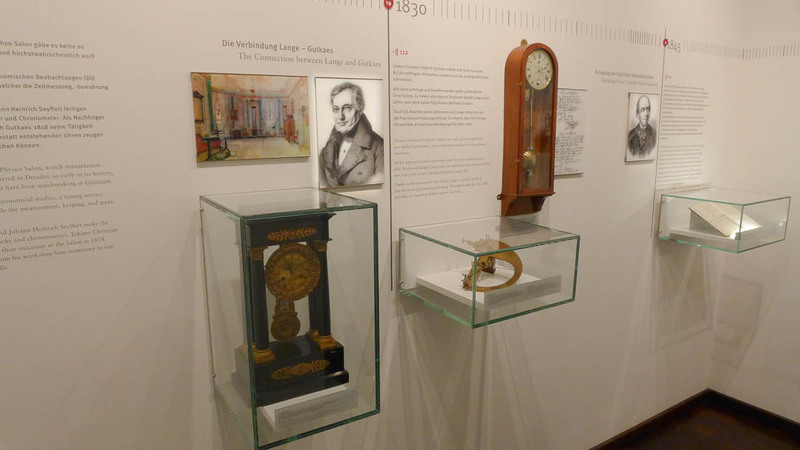 Gutkaes had an apprentice named Ferdinand A. Lange, who helped create a mechanical digital clock whose minute wheel would turn in 5-minute increments. 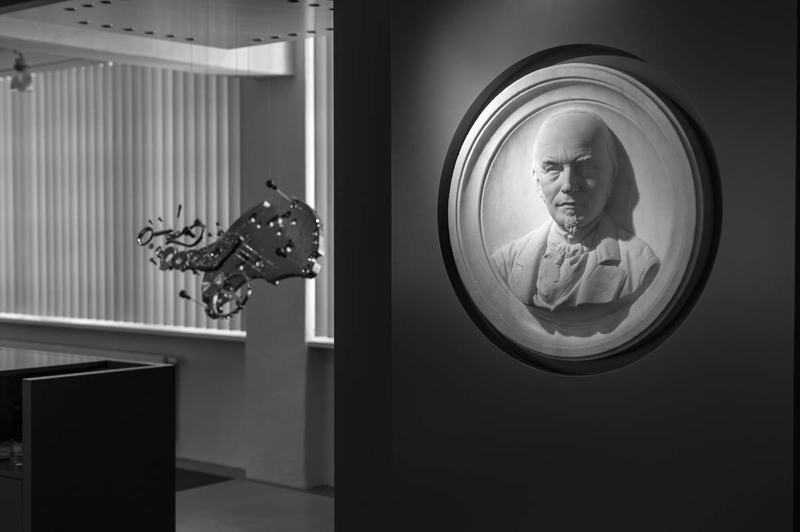 More significantly, the clock was the design inspiration for the wildly successful Zeitwerk, introduced in 2009. 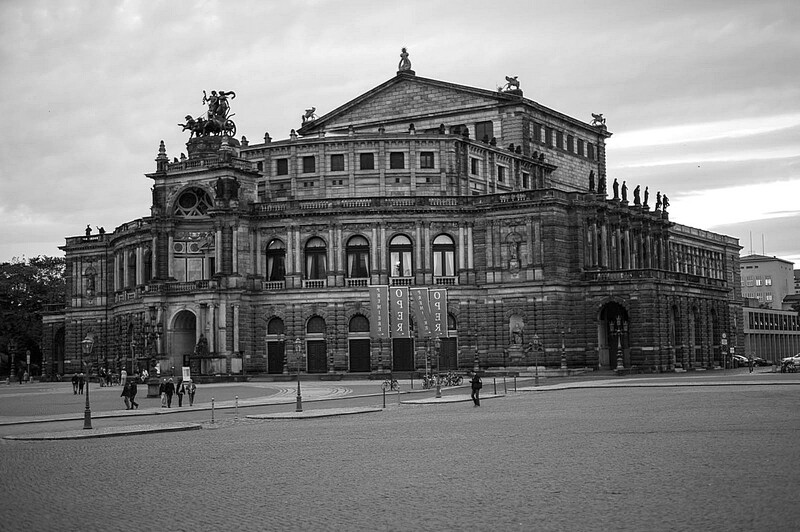 It's suggested that building the clock for the Semperoper gave F.A. 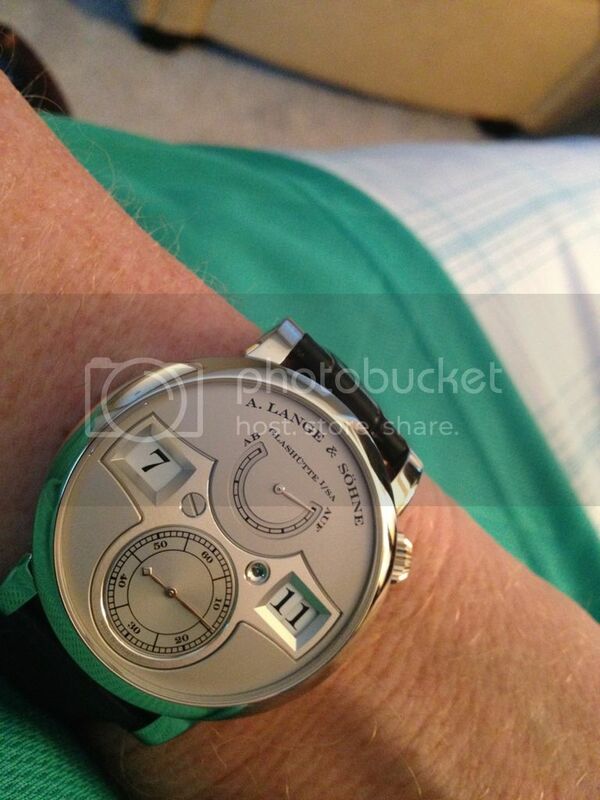 Lange the impetus to start his own company 4 years later. 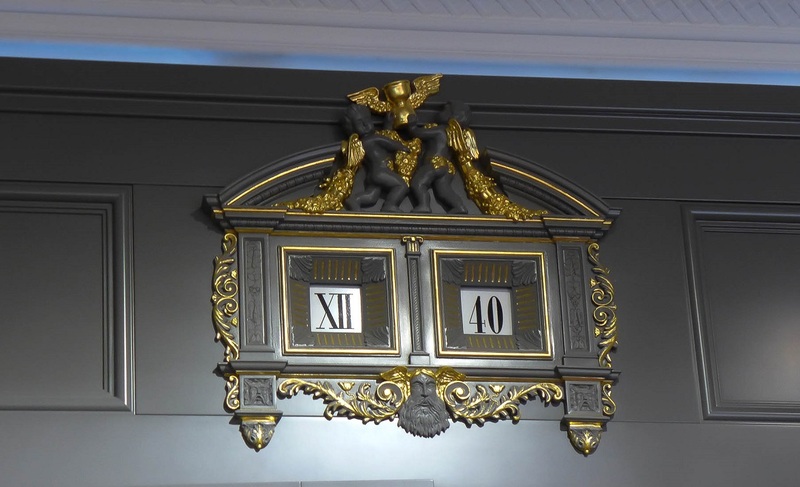 That may or may not be the case, but he did produce additional pieces with Gutkaes, including this clock, also from the Salon. When the silver mining industry all but dried up in the Glashutte region--now a 40-minute car ride from Dresden--the area was in need of industry, and F.A. 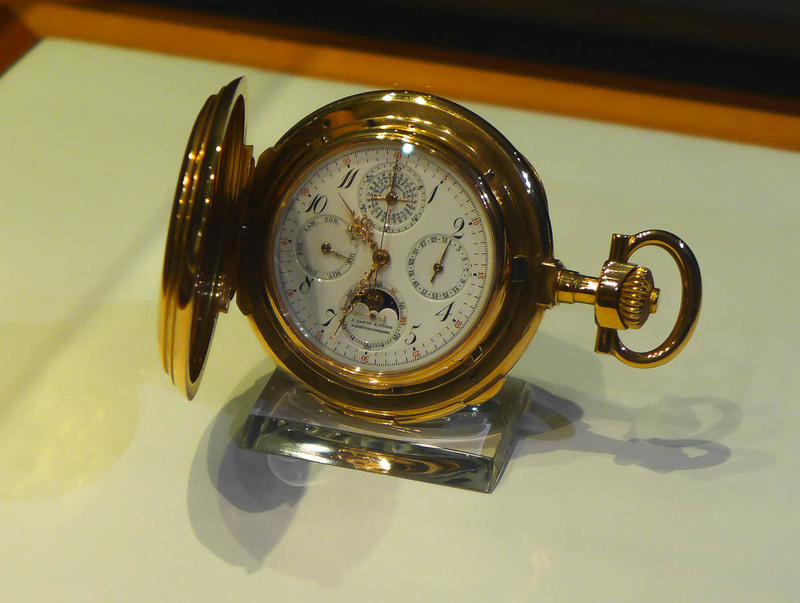 Lange sparked what would ultimately become the center of German watchmaking. 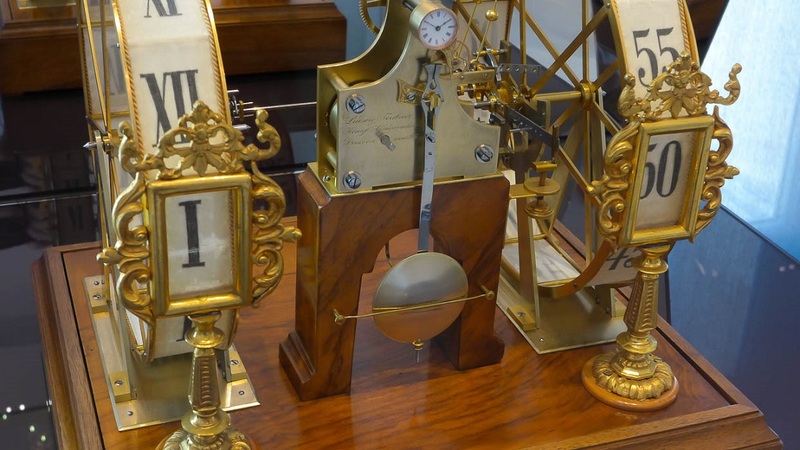 He set up with a group of apprentices, and began making clocks and later pocket watches. 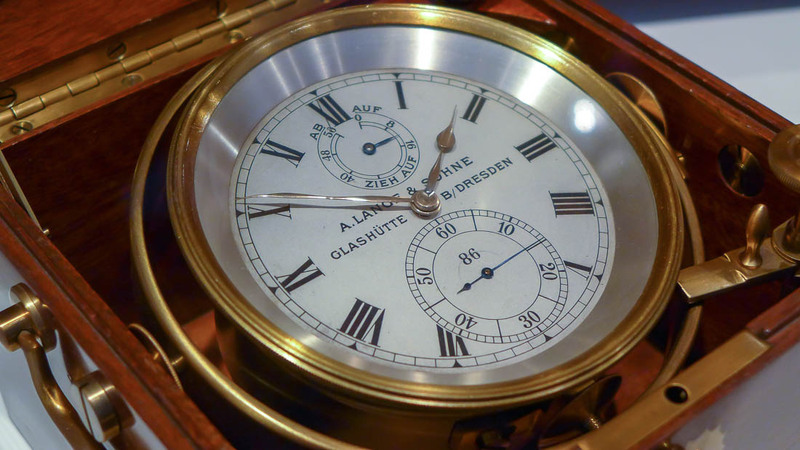 He improved the precision and tooling in German watchmaking, later introduced the three-quarter plate which became a trademark of Glashutte watches, and was also the mayor of the town for nearly twenty years. After the death of F.A. 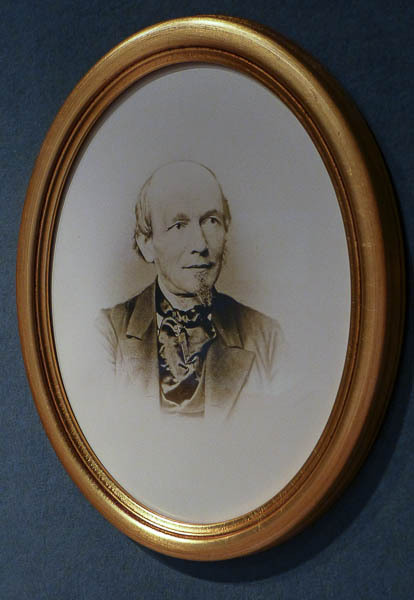 Lange in 1875, the company was run by his sons Emil and Richard. 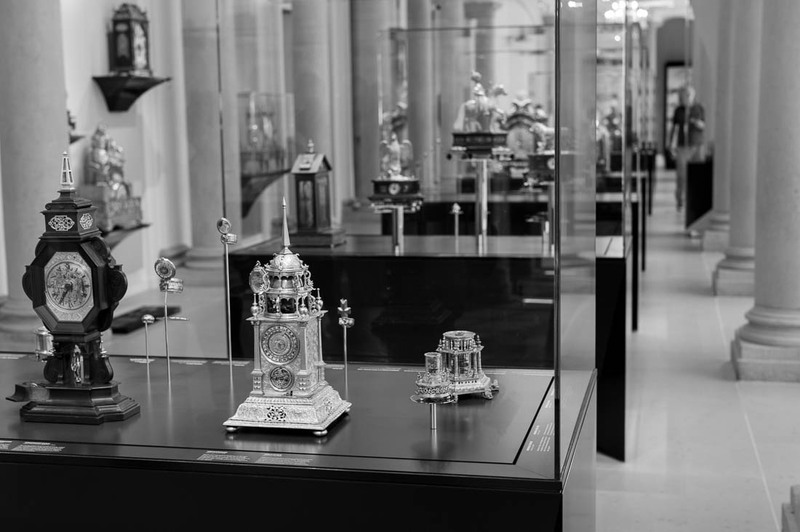 They continued to make outstanding timepieces, and many can be seen here in the Museum of German Watchmaking, which in 1878 opened as the German School of Watchmaking. 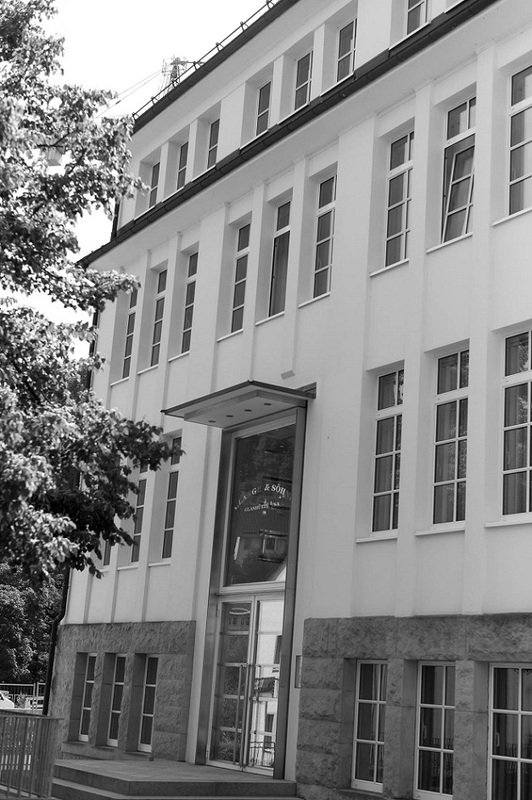 Today, the school continues to train watchmakers in the same building, and has for over 10 years been known as the Glashütte Original Alfred Helwig School of Watchmaking, named for the famed former headmaster of the school who invented the flying tourbillon. And here's where the story ends. Or certainly could have. 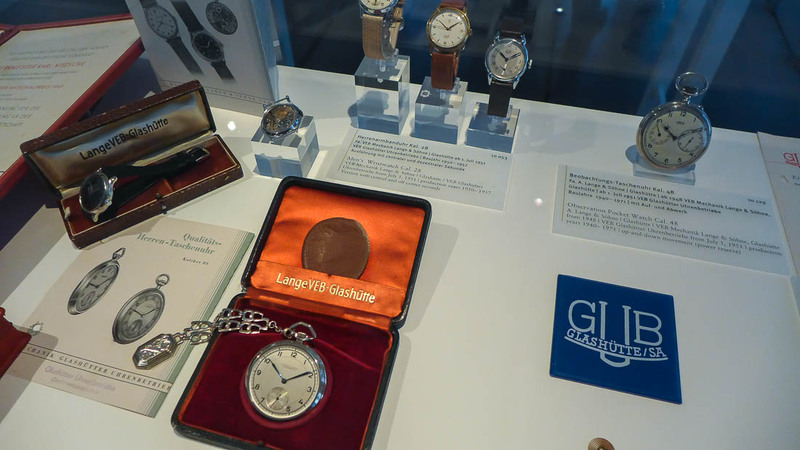 After World War II ended, Glashütte was part of East Germany, and Walter Lange (the great-grandson of F.A. Lange) fled to the west. 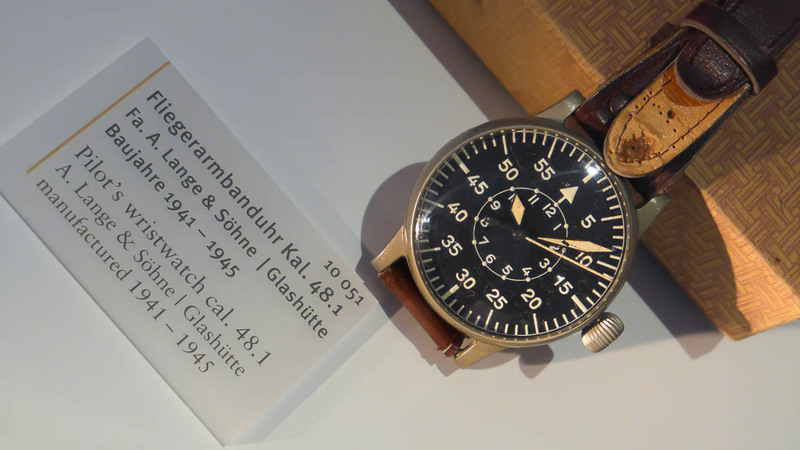 The family home--which marked the beginnings of the company--was seized, and in 1948, the watchmaking companies of Glashütte were appropriated by the state, and they were relegated to making basic everyday watches starting in 1951 under the state conglomerate GUB (Glashütter Uhrenbetrieb). 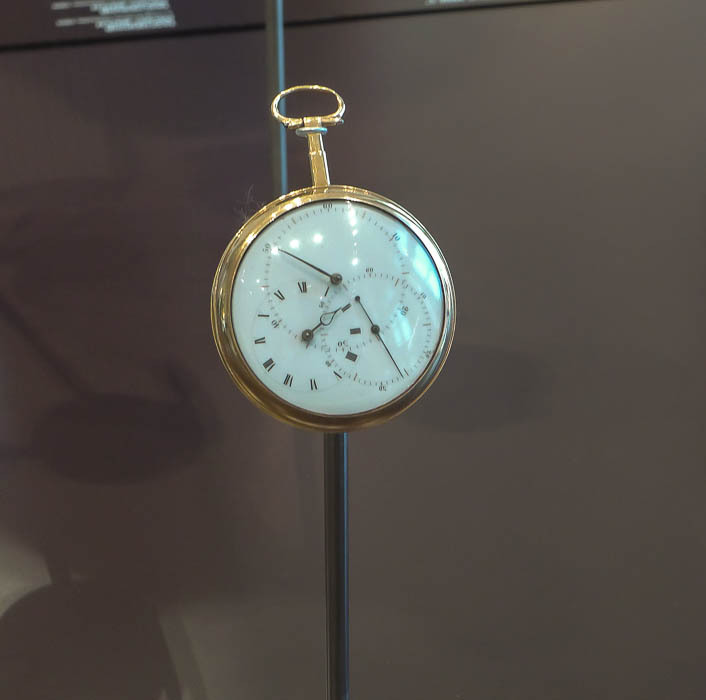 A display of many of the watches produced at the time, which compromised the skillset and standards of anything produced today in the region. It was a deep blow for anyone formerly working at Lange. 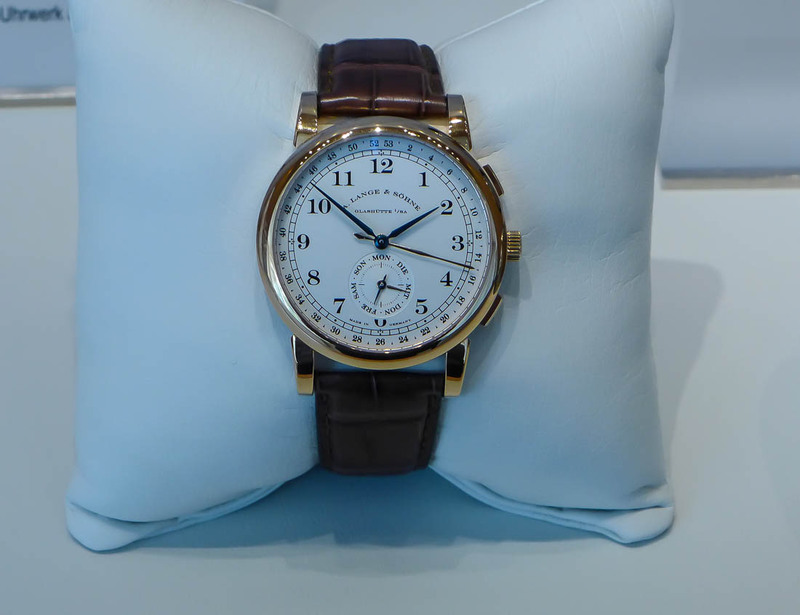 ...was running Jaeger-LeCoultre and IWC at the time, when both were part of Mannesmann, the giant multinational that also owned VDO, the vehicle instrument manufacturer. 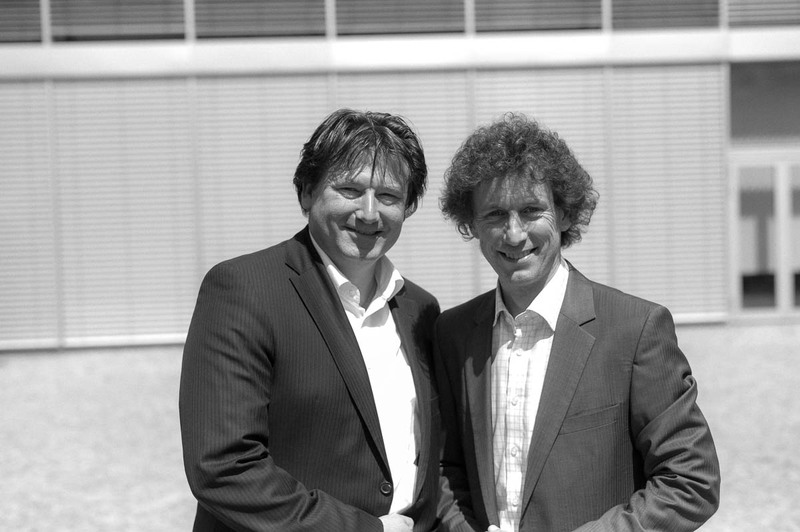 Mr. Blümlein met with Walter Lange, the great-grandson of company founder F.A. 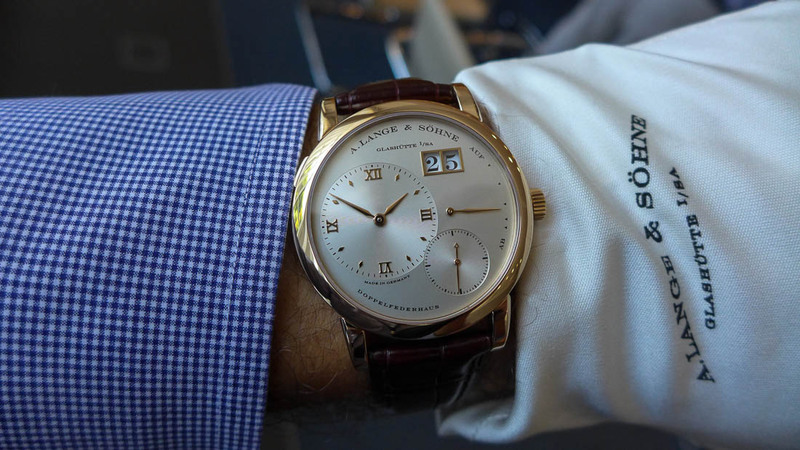 Lange, and began to discuss the return of A. Lange & Söhne to the watchmaking industry. 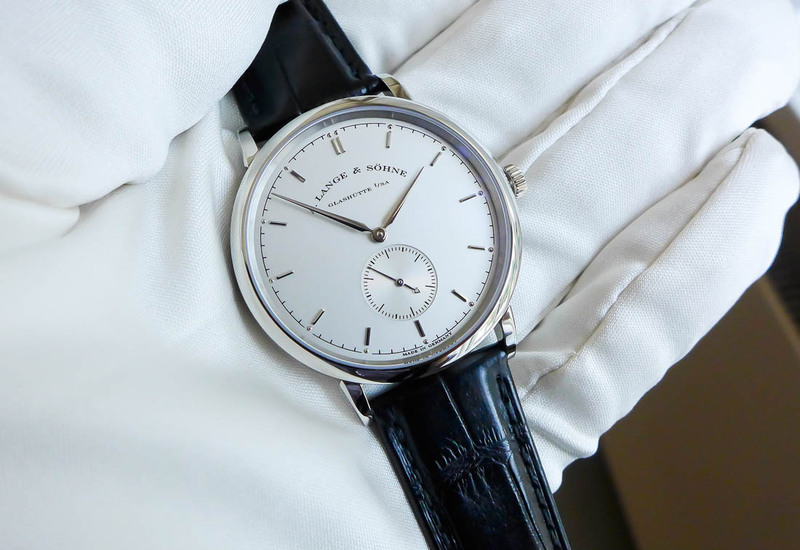 The company then became part of LMH (Les Manufactures Horlogeres), along with JLC and IWC, and they spent the following four years preparing for Lange's return to the market. 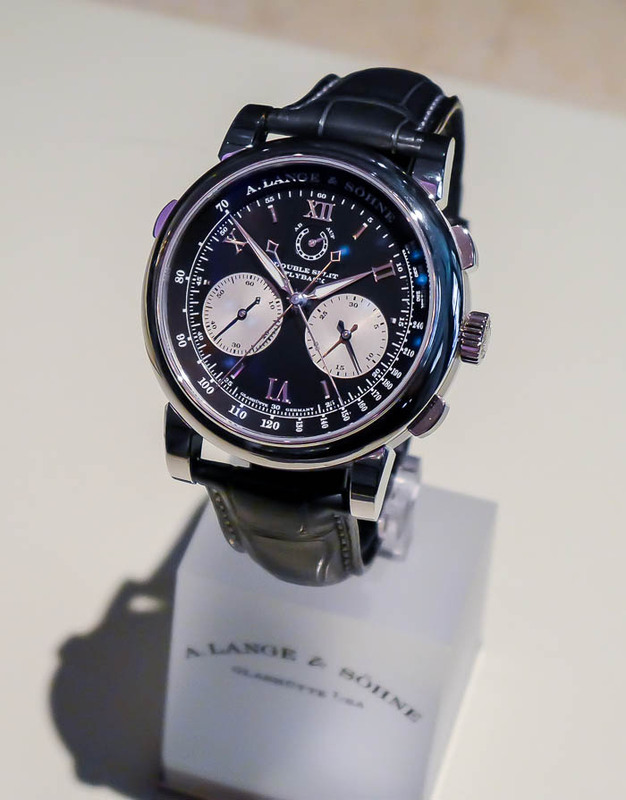 Lange watchmakers spent months at both JLC and IWC, and in October of 1994, A. Lange & Söhne launched 4 models, including an instant icon in the Lange 1. 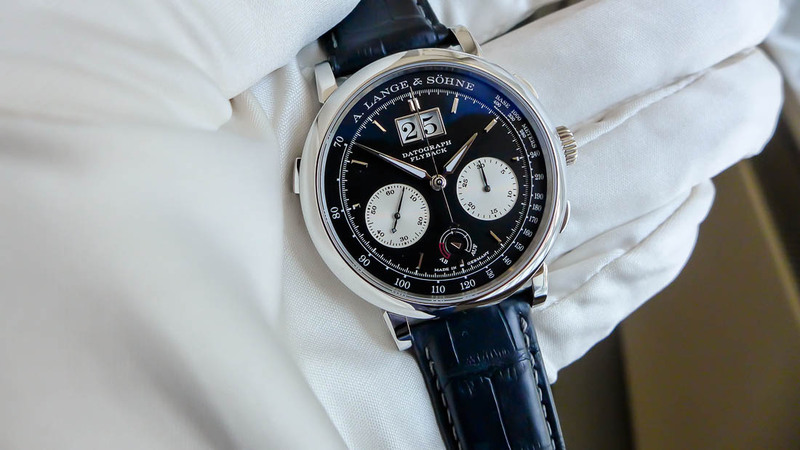 The Lange 1 is approaching 20 years in the marketplace, and is as powerful a design as ever. 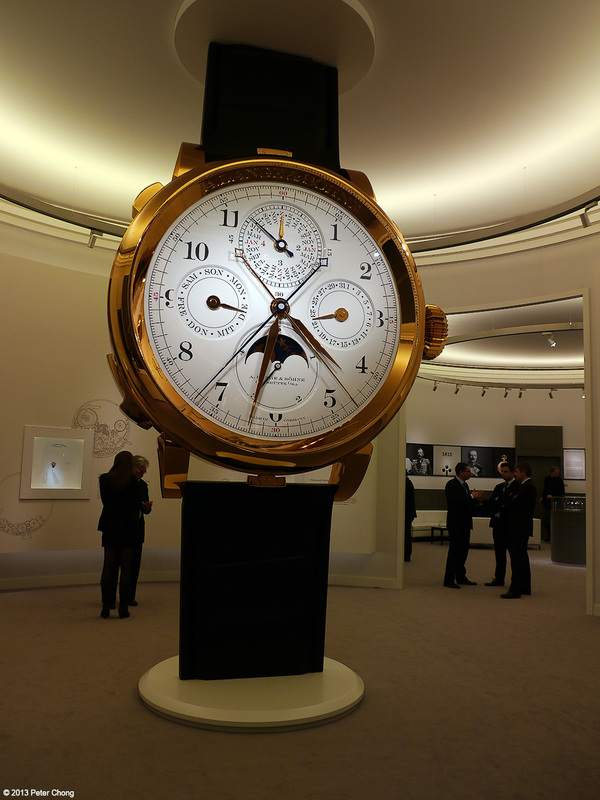 It has also been the basis for extended lines, including the Grande Lange 1, the Lange 1 Tourbillon, and the Lange 1 Timezone. 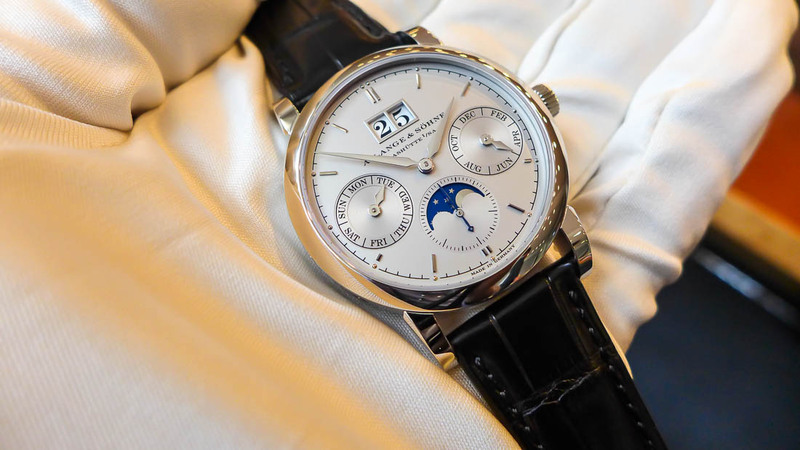 Most recently, we have seen the release of the Grande Lange 1 Lumen. 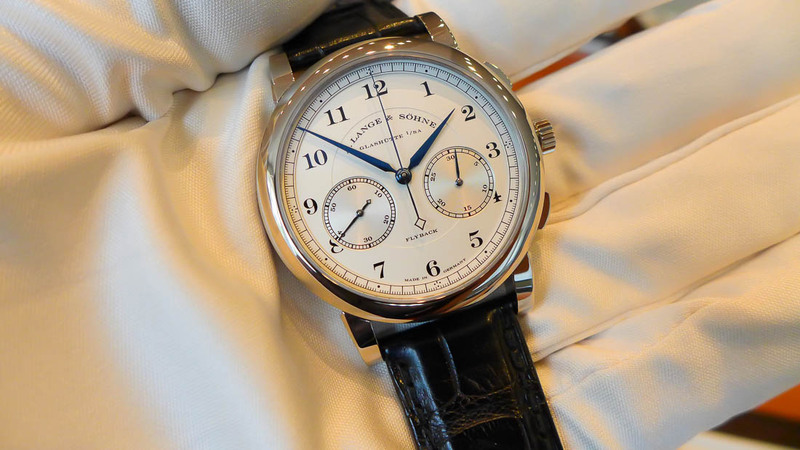 And a Lange 1 reversal of sorts, in the Daymatic. 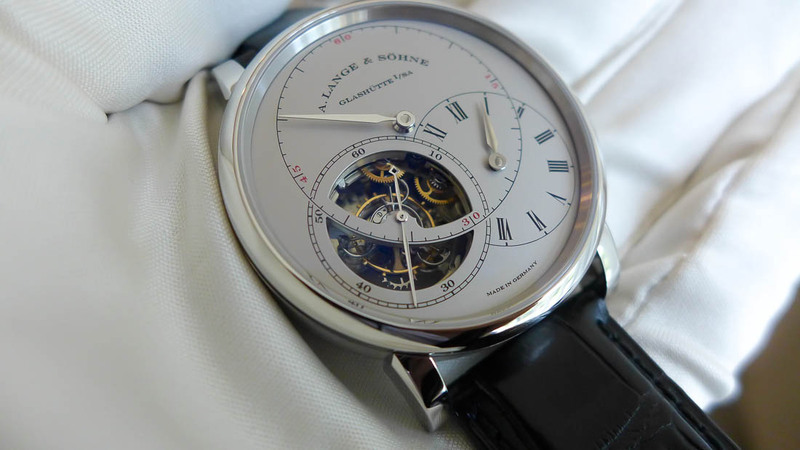 A Lange 1 dial reversed, with day indicator, 1mm larger case, and an automatic movement. The company is now expanding across the street from their current location, and the space is much needed. This is the primary reason we could not take photos while touring the factory. 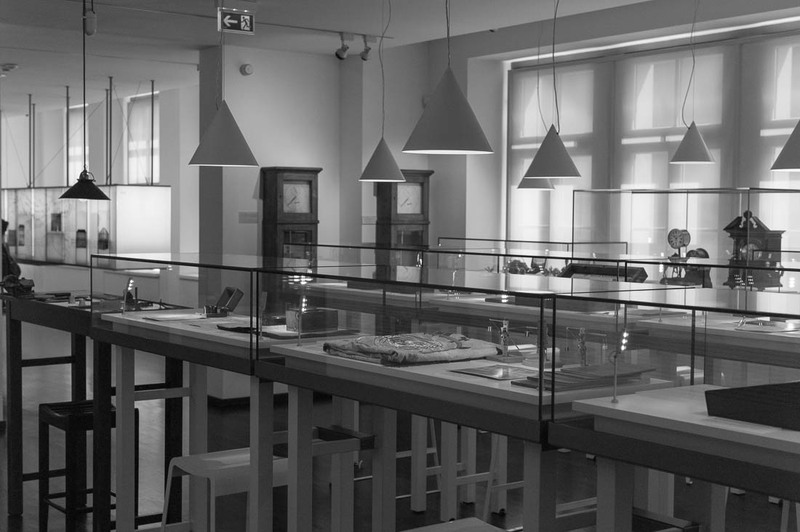 The rooms are crowded with watchmakers, and we had to excuse ourselves regularly to allow them to move throughout the rooms. 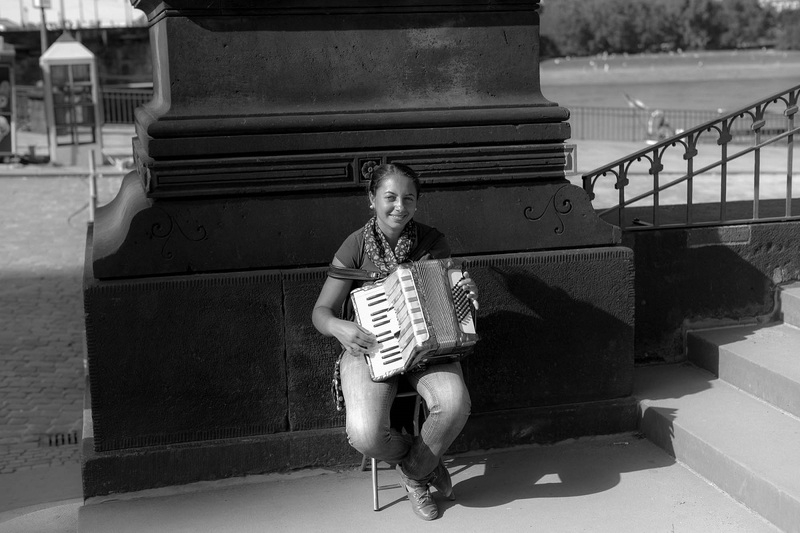 Imagine doing this while everyone on a tour is snapping photos and they would be continuously disrupted. 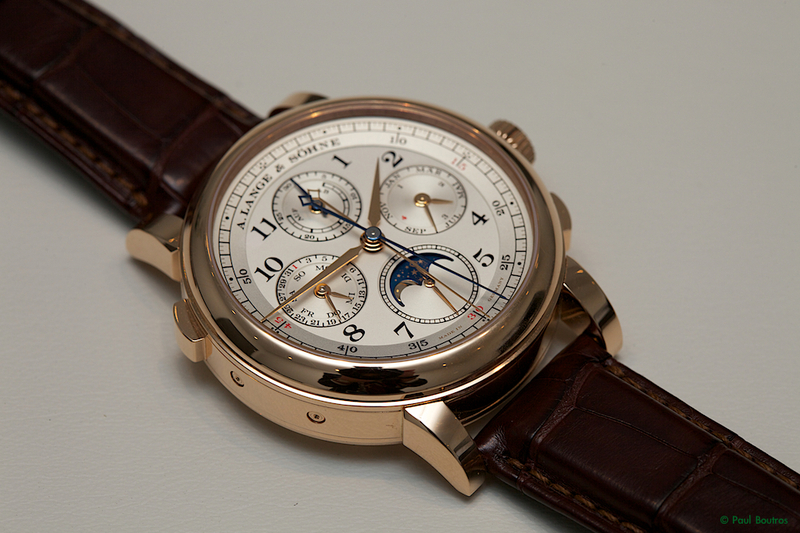 So the following images and hopefully my commentary will give you a sense of what A. Lange & Söhne is today. 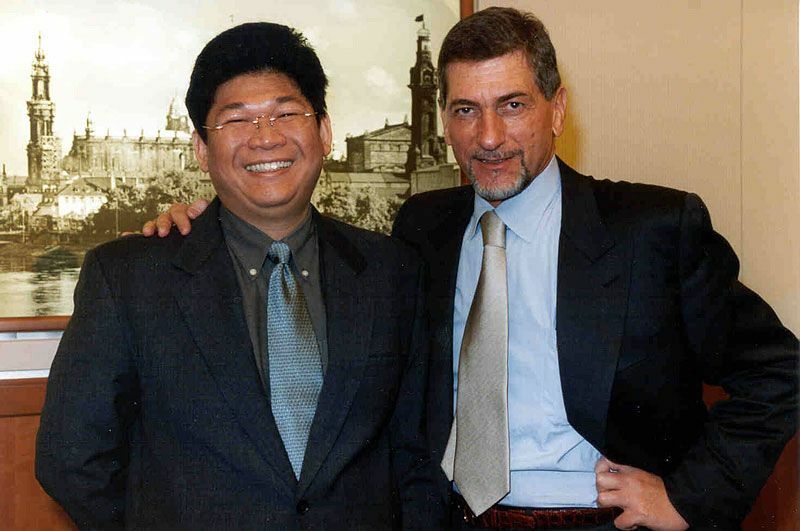 And we run into the heads of the Lange design and product development team, Anthony de Haas and Tino Bobe. 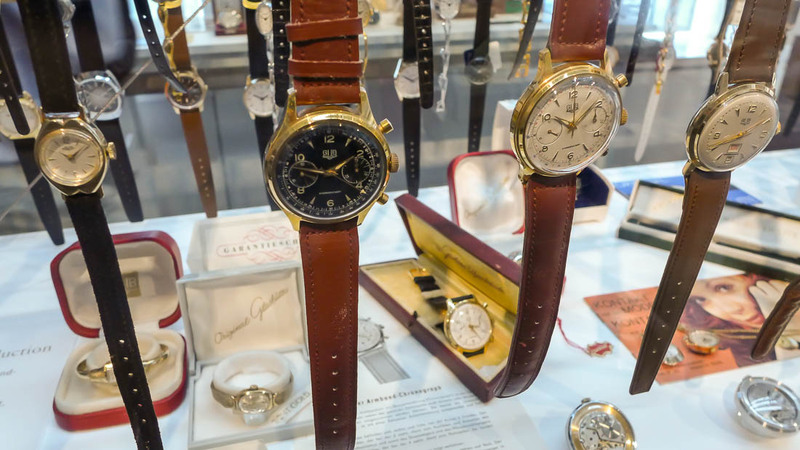 Both hailed from the veritable all-star incubator of APRP (Audemars Piguet Renaud & Papi), which has employed--among others--Peter Speake-Marin, Cartier Head of Fine Watchmaking Carole Forestier-Kasapi, as well as the Grönefeld brothers. 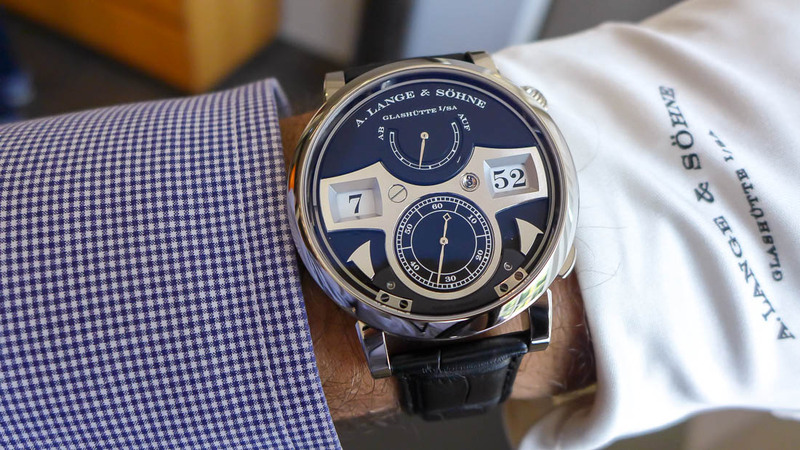 Since coming to A. Lange & Söhne, this design team has produced some astounding watches, and a collection that projects the integrity of the watchmaking. Tino's prototype Lange Zeitwerk Luminous a/k/a "The Phantom"
But this isn't just another case of "German Engineering", which we so often associate with a calculated--yet emotionless--didacticism. 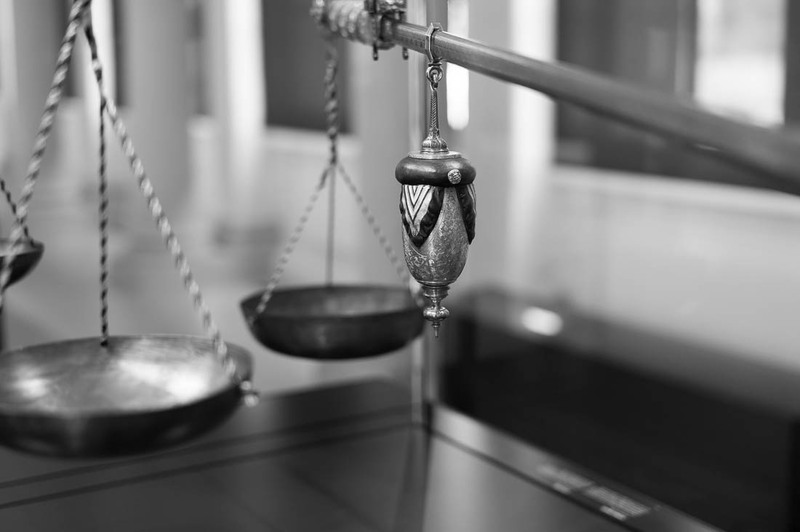 As collectors, how do we come to appreciate the differences in design as mutually contributory? 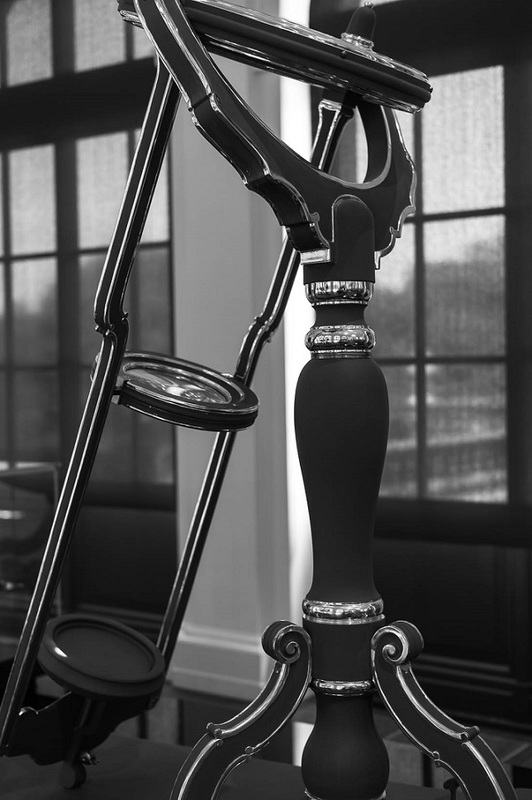 I asked these two designers, and they pointed to the deliberate steps and angles of the lugs, the fluidity of the case parts, and of course the quality of the finish. 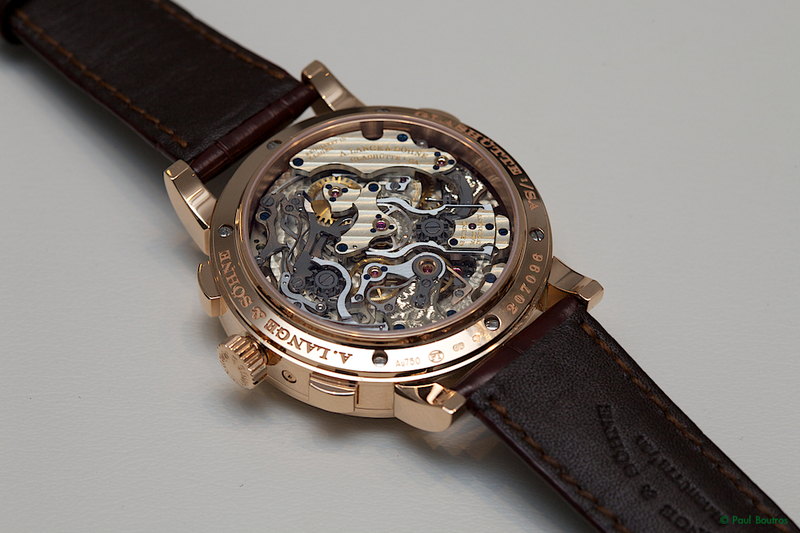 Passion in watchmaking. 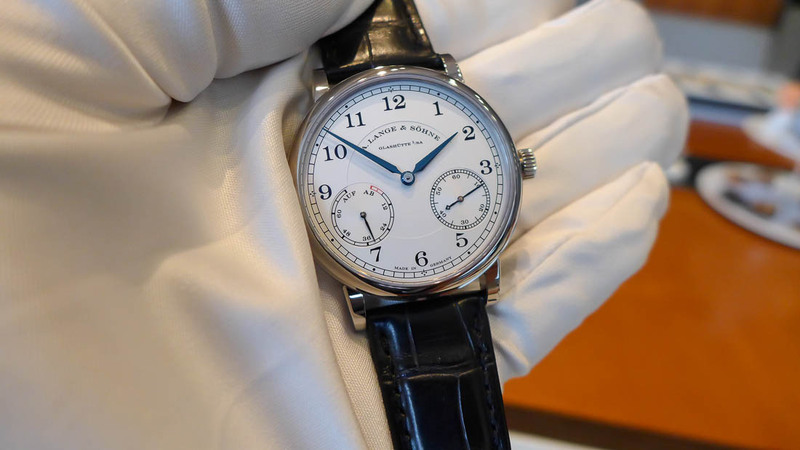 The Lange finish is as special as any in the industry, some claim none better. 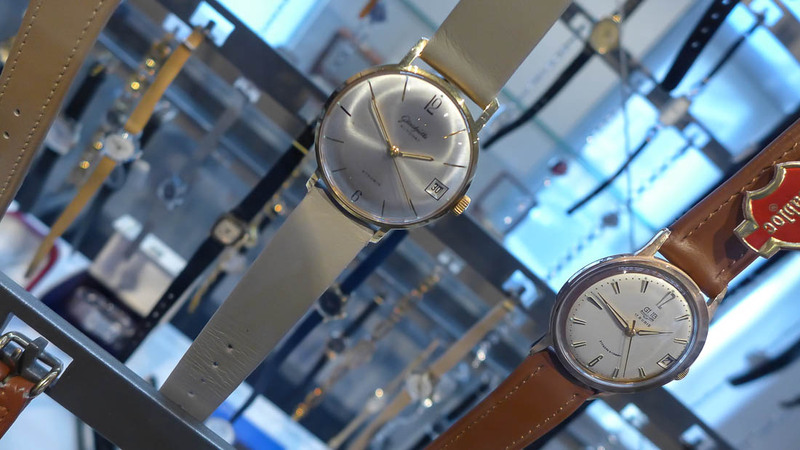 What's significant is the difference in that of the Swiss watch, which becomes more brilliant with increased attention, hand polishing, and anglage. 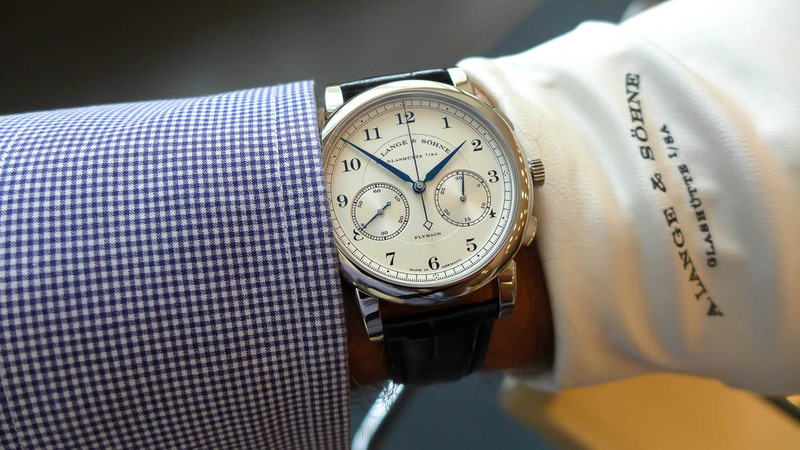 The Lange finish is as complete, but settles eventually with a remarkable warmth to it. 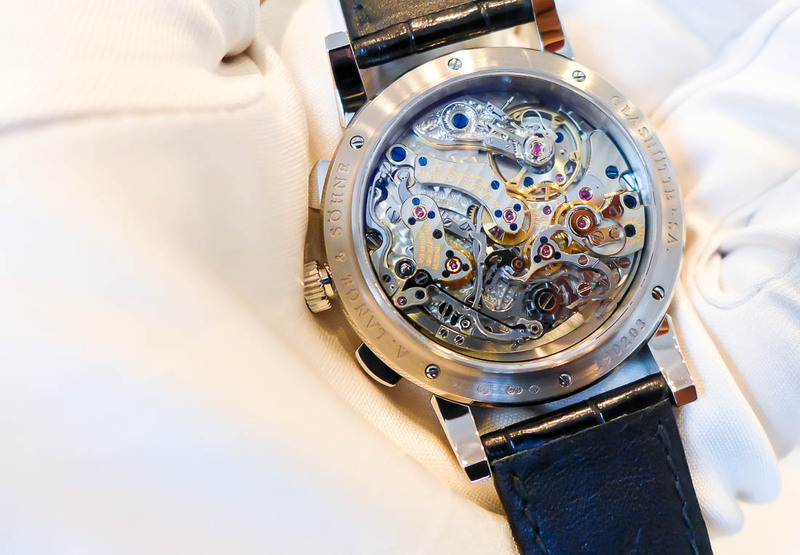 This is German watchmaking at its finest. But the fact is the company does not have a museum. The town does. The region does. 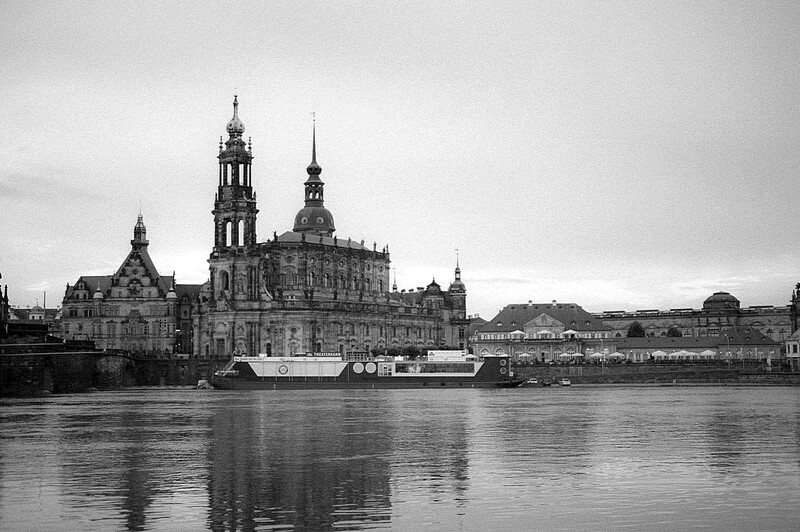 Dresden does. 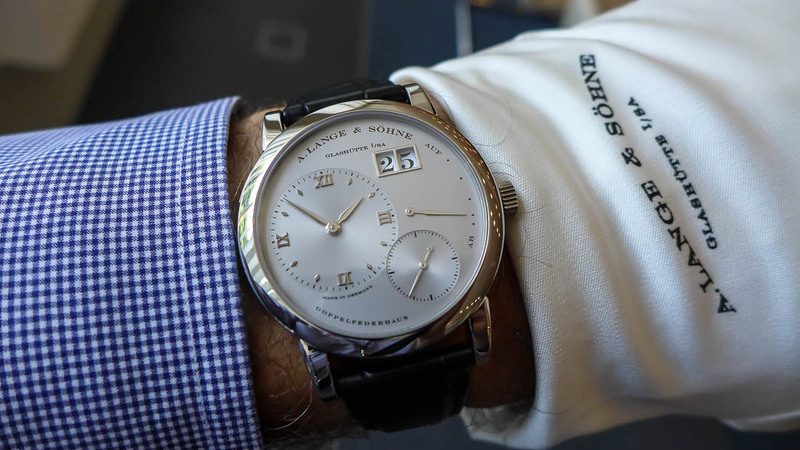 And A. Lange & Söhne is a leading part of an inescapable, impassioned commitment to precision and detail. F.A. 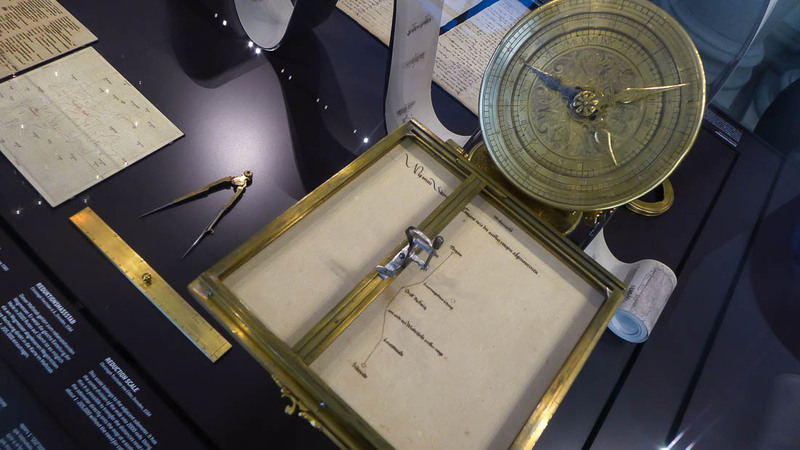 Lange's notebook is further evidence of this, wherein he calculates gear teeth measurements necessary to produce the most accurate timekeeper. 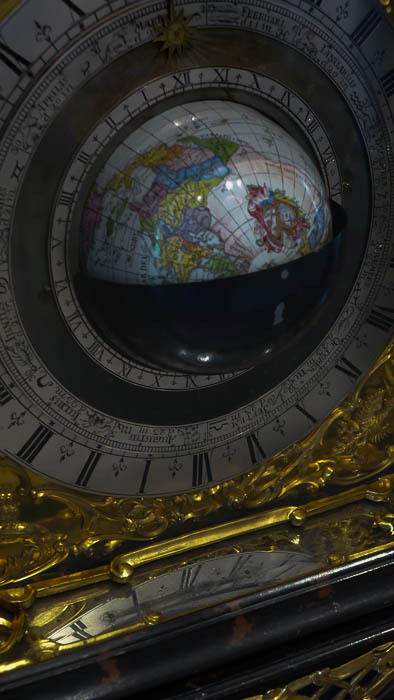 When one watchmaker was asked if the tourbillon was nothing more than decorative, he looked stumped. 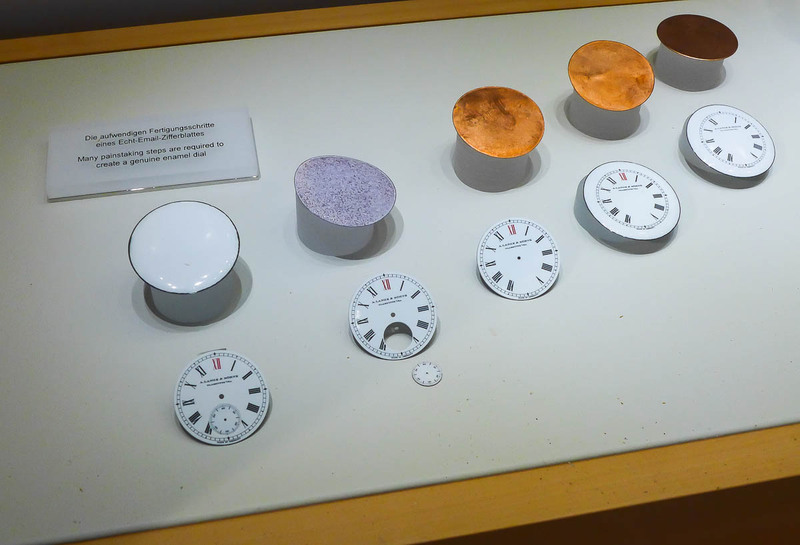 "We don't build watches for decoration," he said. Again, details. And precision. 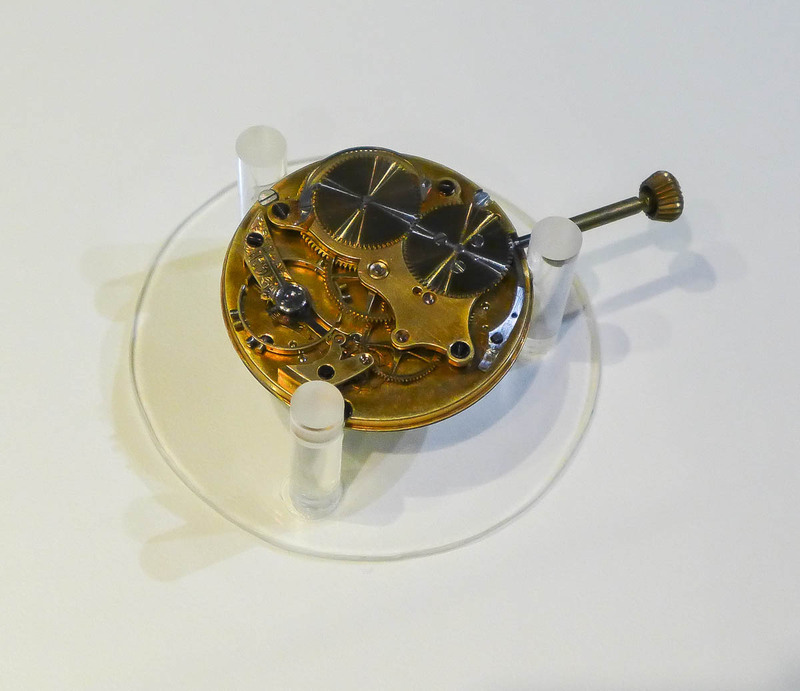 Both drove Lange to beginning producing their own hairsprings--first used in the Double Split--because the quality of the hairspring is a principal determinant in the accuracy of a watch. 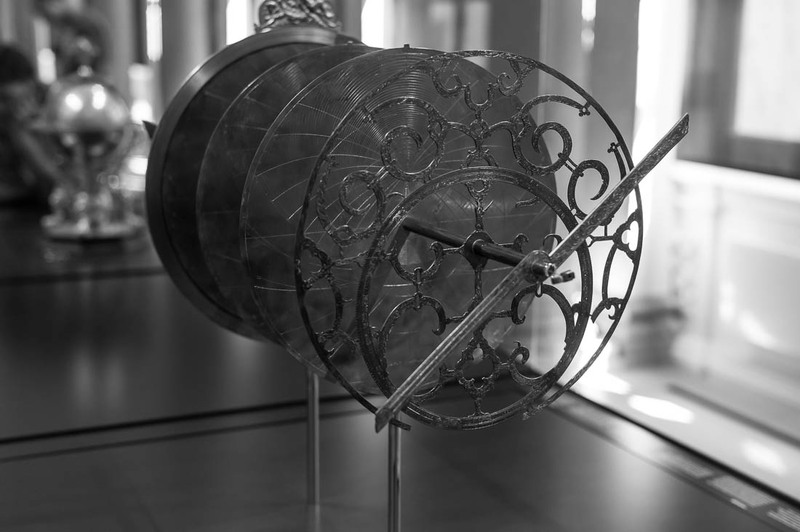 And while they can use this construct to get within 5-6 seconds per day on any caliber (before regulating the watch), the tourbillon, says this watchmaker, "will get us to within 2 seconds per day, so it is measurably more precise". 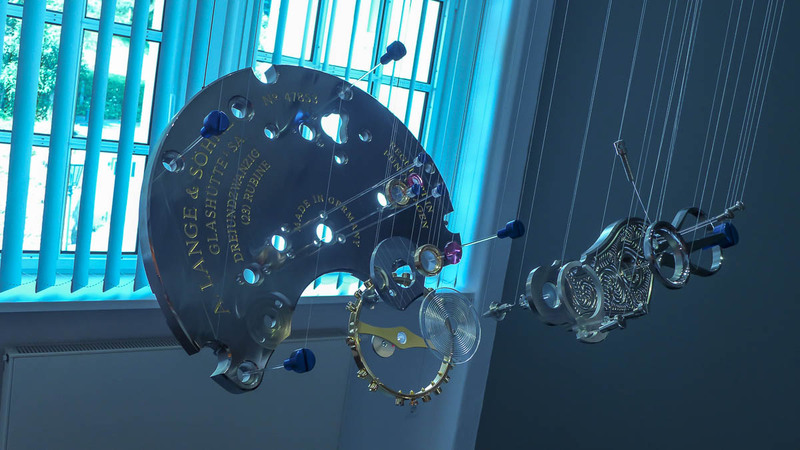 These measures are integral to the watchmaking at Lange. The company doesn't have quotas. 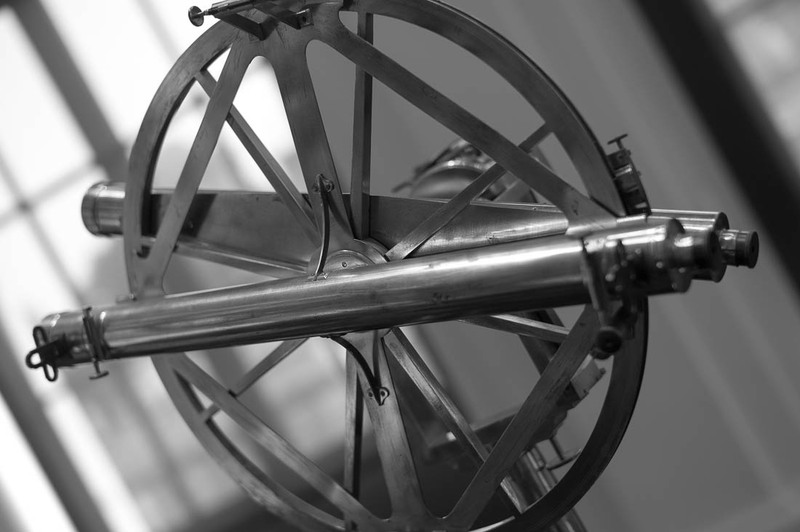 The chatons, screws, plates, and every component are finished by hand. 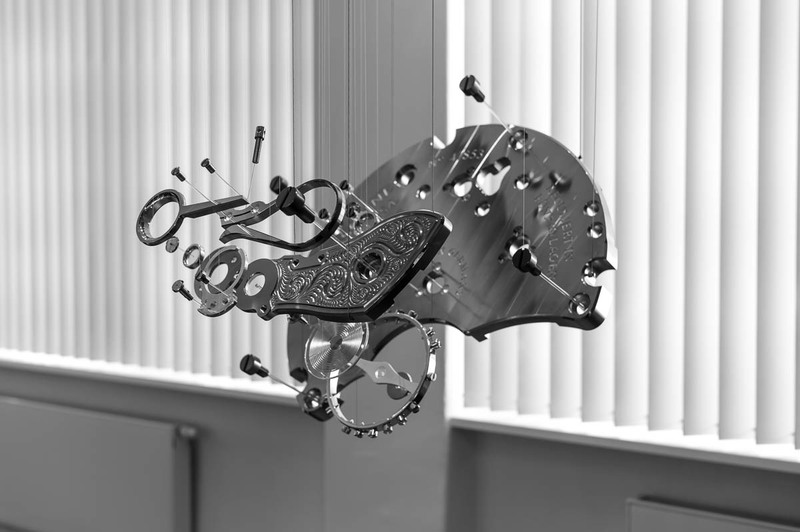 Outside of the CNC-type machines that cut the movement plates, every other bench in the factory is represented by a traditional method, from half-century-old mechanisms for perlage to an organized row of hand tools. 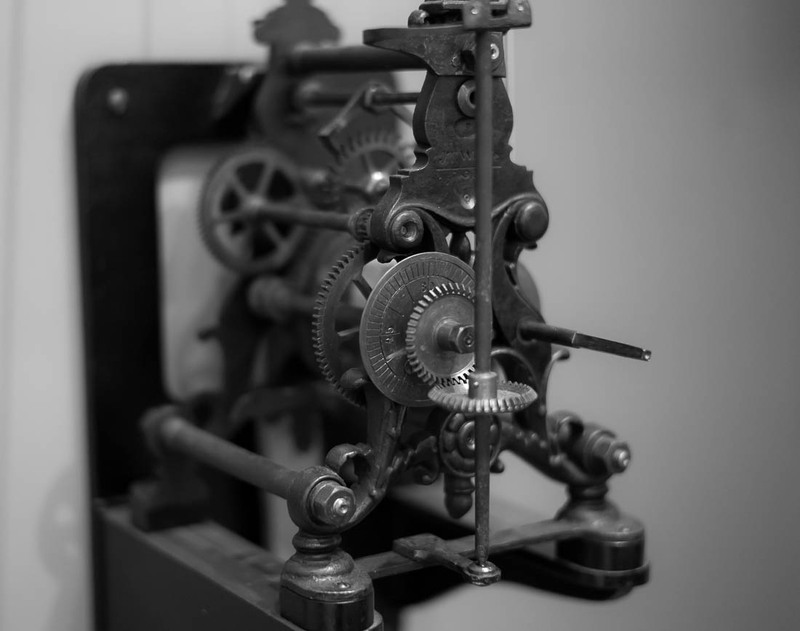 And after each operation, the watchmaker measures to ensure the component remains within spec. The calibers all use German silver, which is in truth a mix of zinc/copper/nickel. 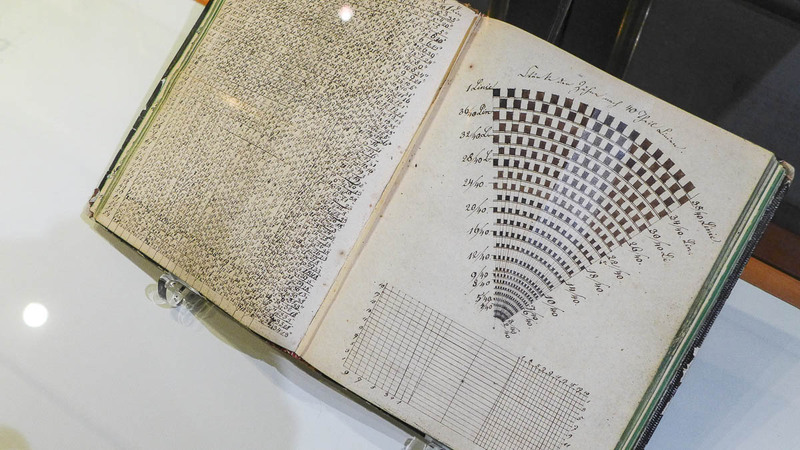 Swiss manufacturers use this material as well in some of the models. 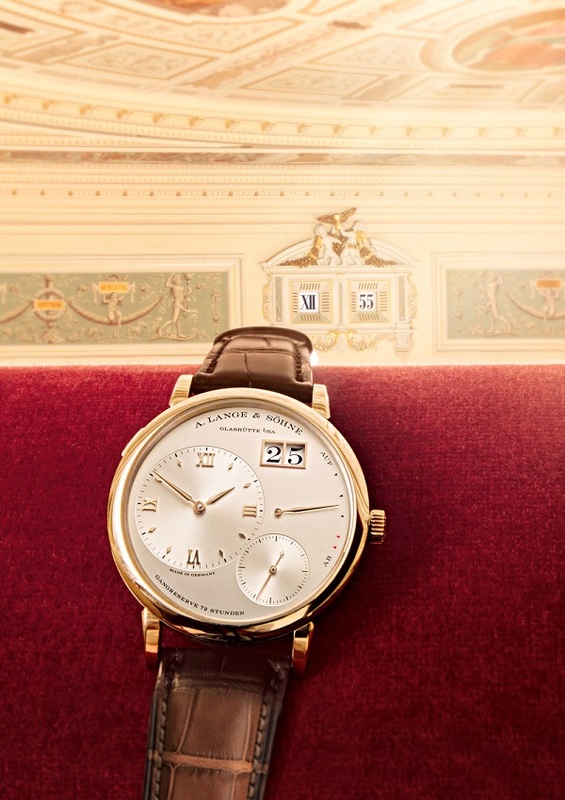 At Lange, it's the foundation of every watch. 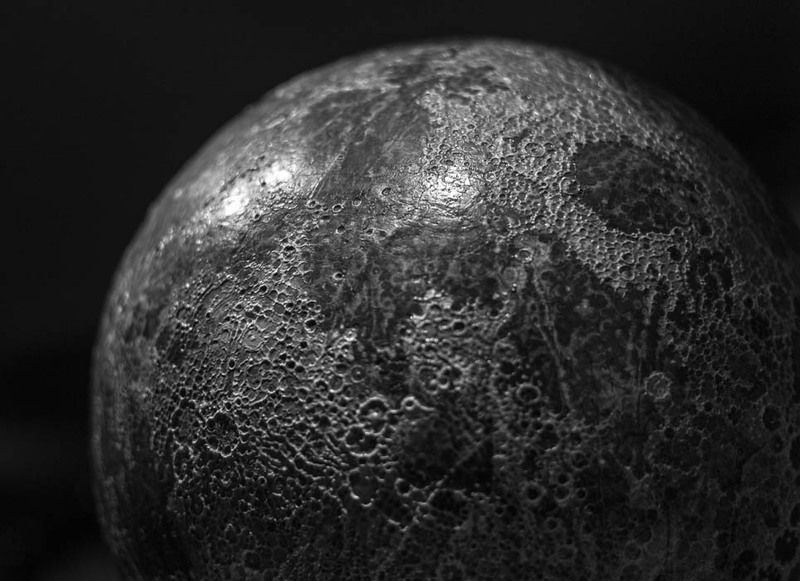 German silver is expensive, and difficult to work with as it's prone to scratching. But it ages to a lovely patina, and the bottom line is they would not do it any other way. 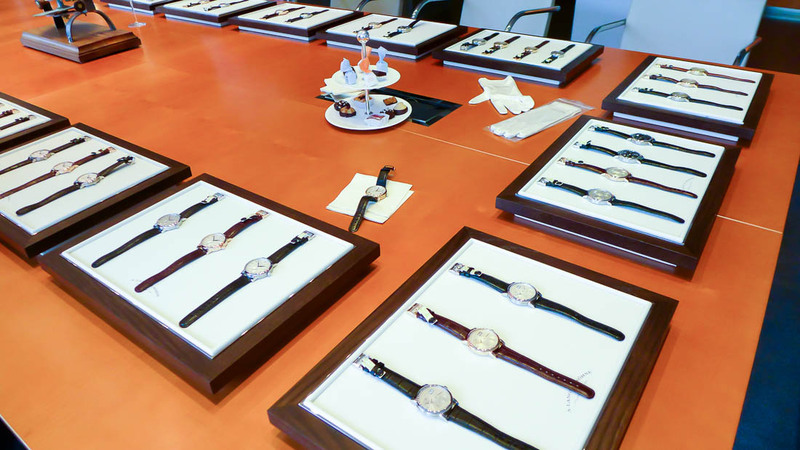 Every watch at Lange is assembled twice. Once...then calibrated and tested. A second time with blued screws and hand finishing. 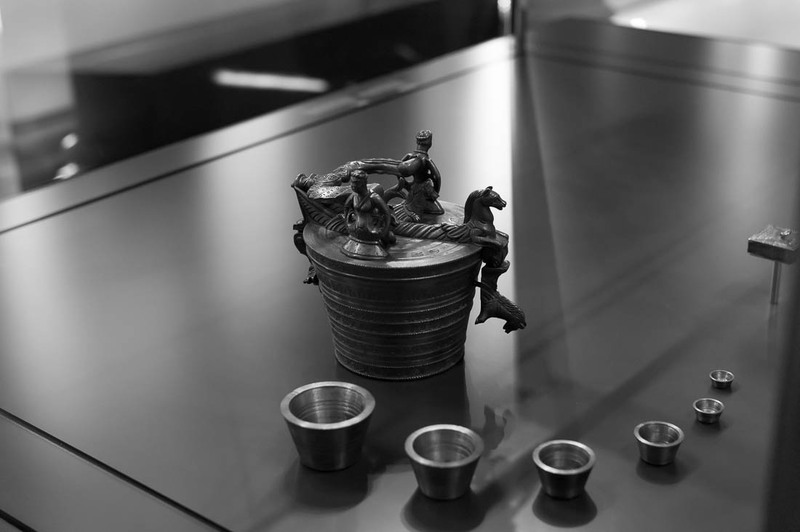 Even the gold chatons are hand polished with various grades of paper, and when the company was dissatisfied with the inconsistency of the paper supplier, they bought the company and now supply their own paper. 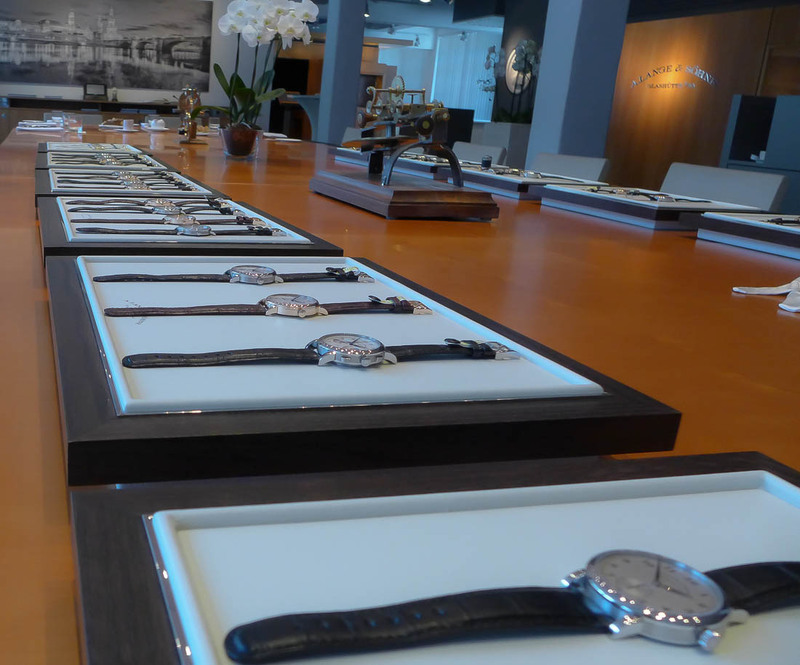 They make virtually every part for their watches, with the exception of cases and dials. 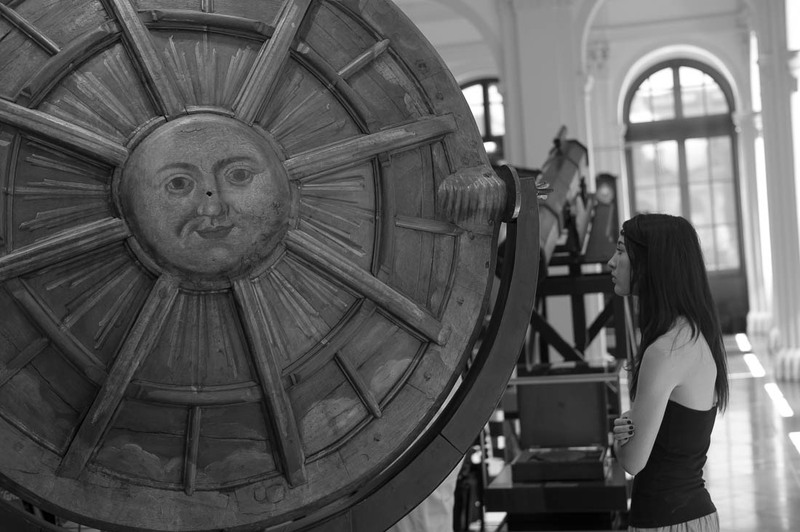 They even produce the gongs for the Zeitwerk Striking Time. By their own admission, they are a tough customer with their suppliers, so entirely in-house may be coming in the future. 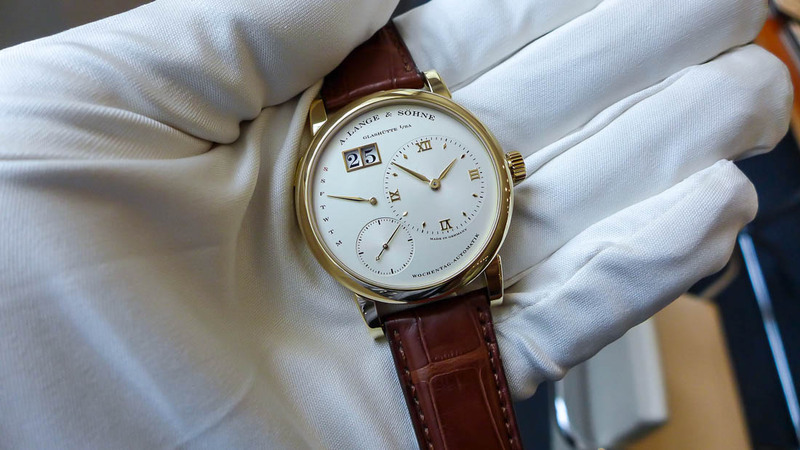 As many as 80% of the enamel dials for the Richard Lange Pour le Mérite were unsuitable for the watches, per their standards. 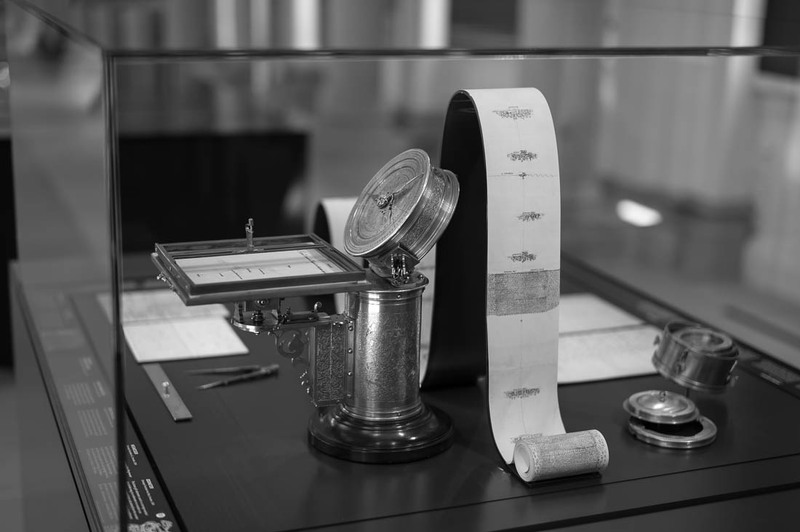 Speaking of standards, every Datograph is tested with the equivalent of 4 years of use prior to shipping. Need we say more? 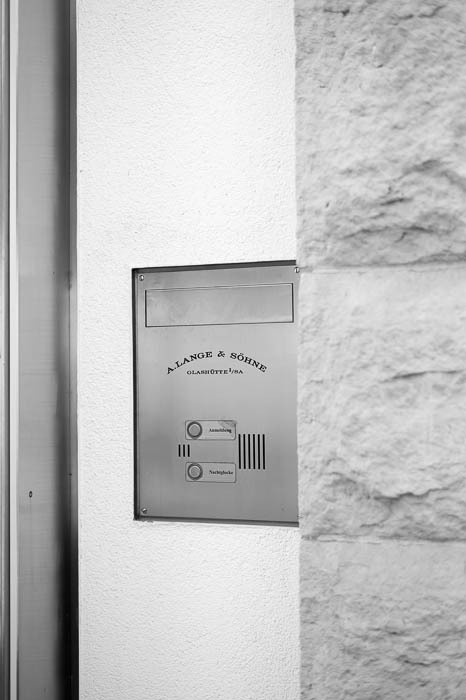 As of January 2011, Mr. Wilhelm Schmid took over as CEO of A. Lange & Söhne. 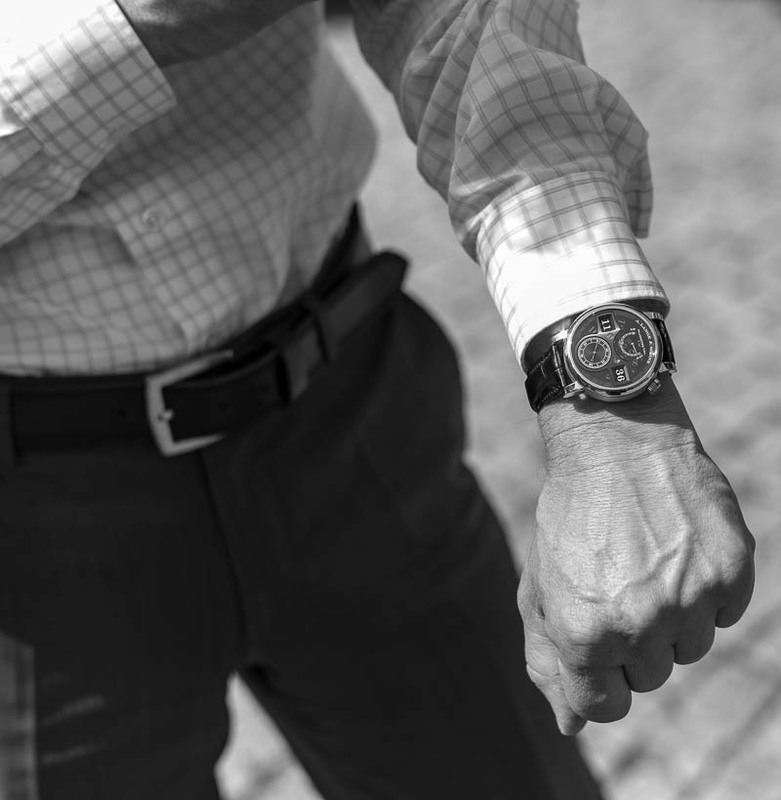 Mr. Schmid had lunch with us and graciously shared his perspective on German watchmaking as well as the role of the company, which intends not to increase its production, but rather will focus even more on complicated watches. 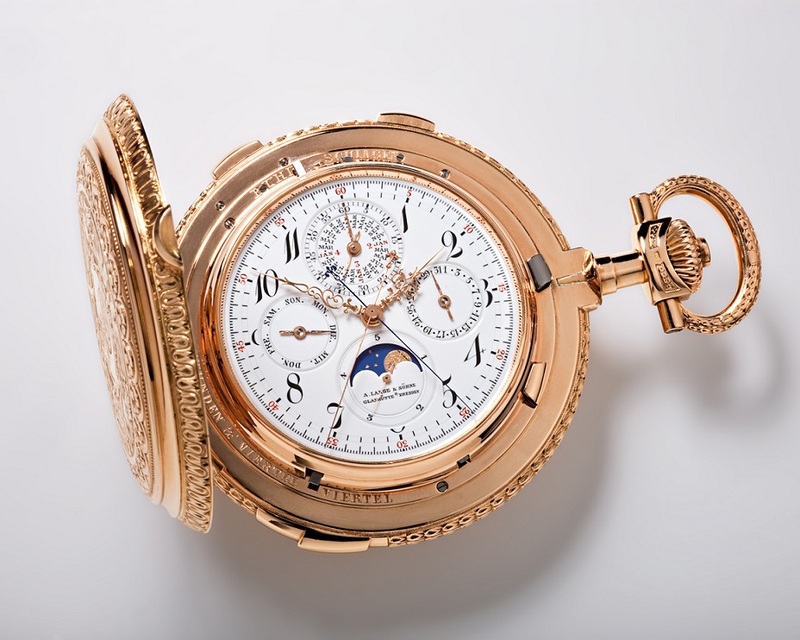 The 1815 Rattrapante Perpetual Calendar and the Grande Complication announced at this year's SIHH Watch Fair should be a fair indication that the company is swinging for the fences. 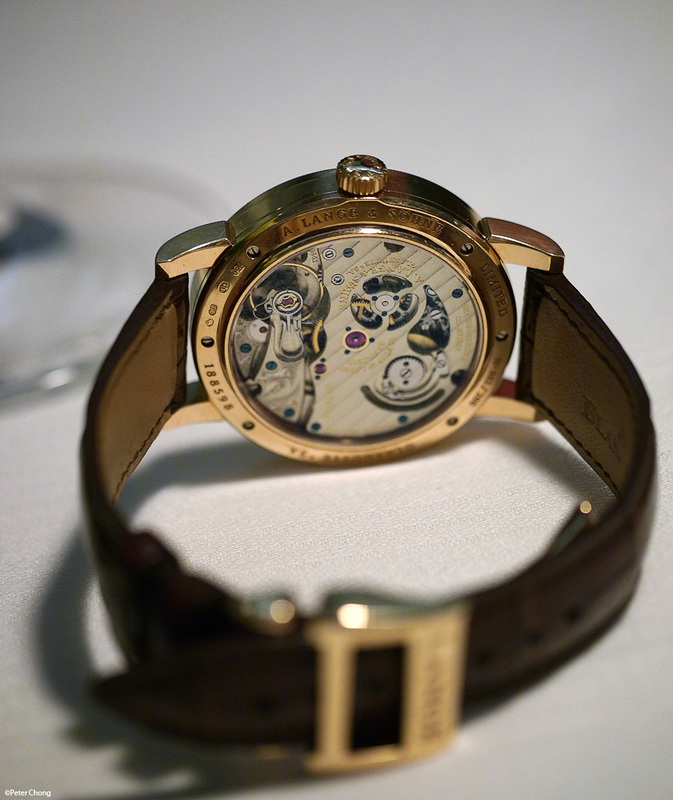 Richard Lange Pour le Mérite, with 636 parts in just the fusee and chain transmission alone! 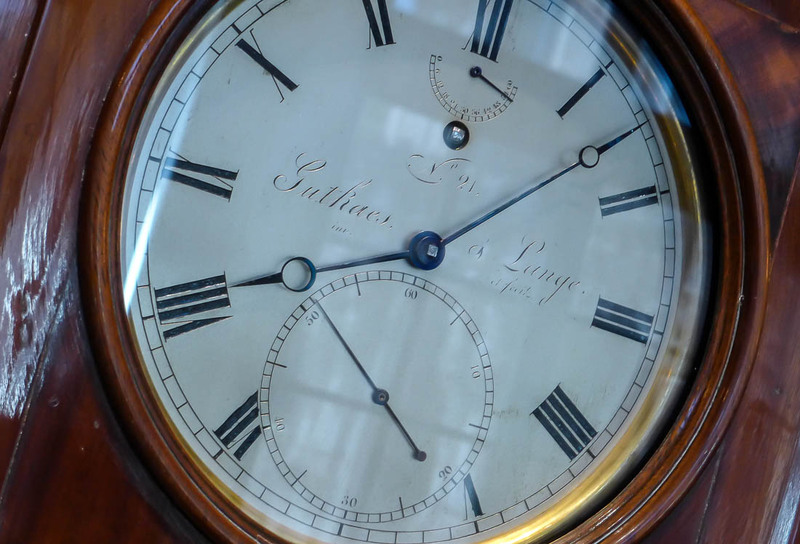 As we handled the watches in the collection, someone held up the Saxonia Annual Calendar and asked why the dates were always set to the 25th? 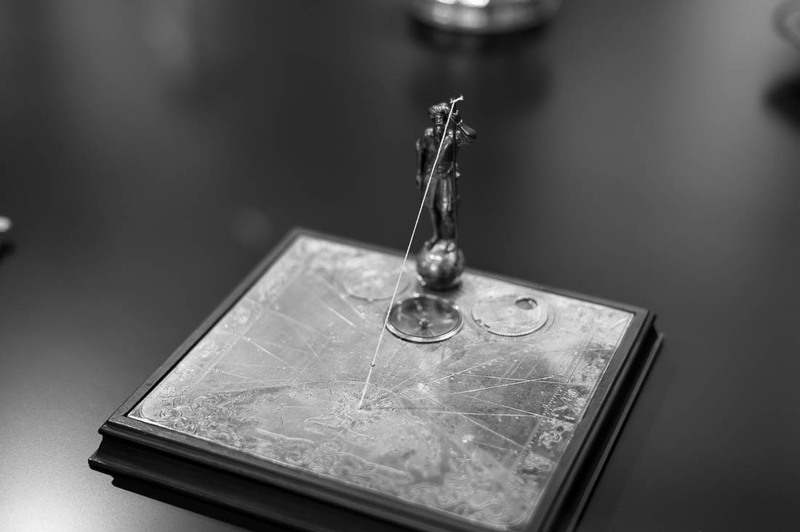 On October 24th, 1994, A. Lange & Söhne was re-born with the official press conference and announcement of their return to the marketplace. 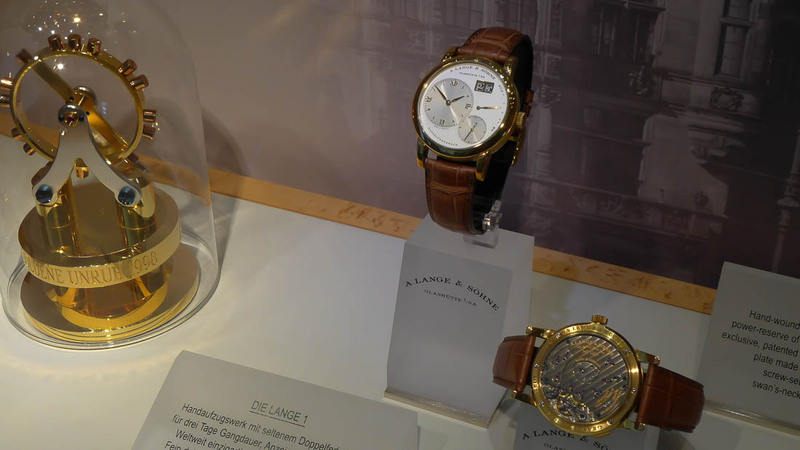 Knowing that the news would reach the public the next day, the watches were set to the 25th and all of their watches since share this same return to Lange form. 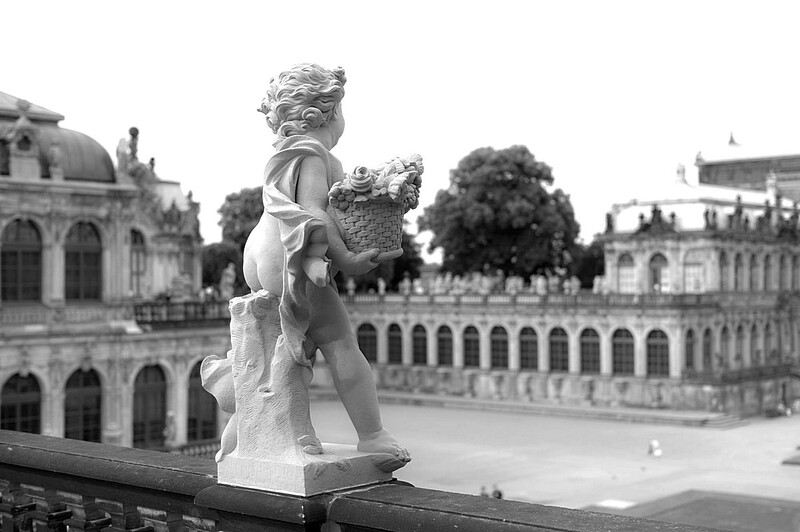 This is why you cannot tell the story of A. Lange & Söhne without its relationship to the re-birth of Dresden itself. 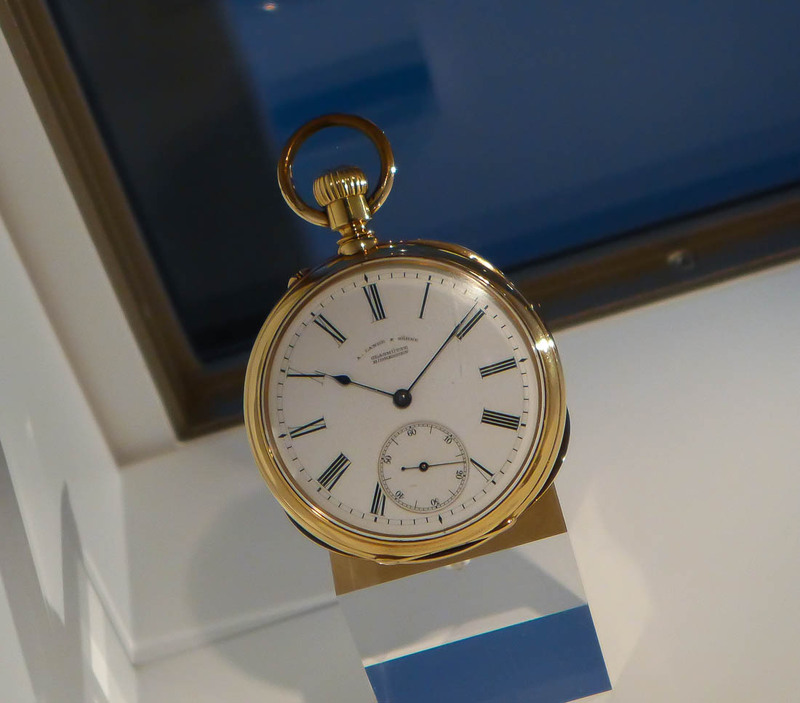 And the restoration of German watchmaking...to its very core. 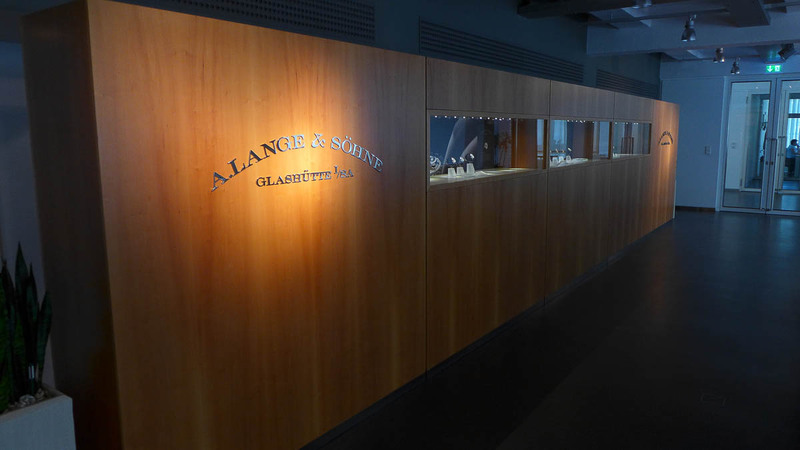 Thank you very much to everyone at A. Lange & Söhne for a wonderful visit! And as you approach your 90th, we wish you Mr. Walter Lange a very Happy Birthday, and thank you for coming home 23 years ago.